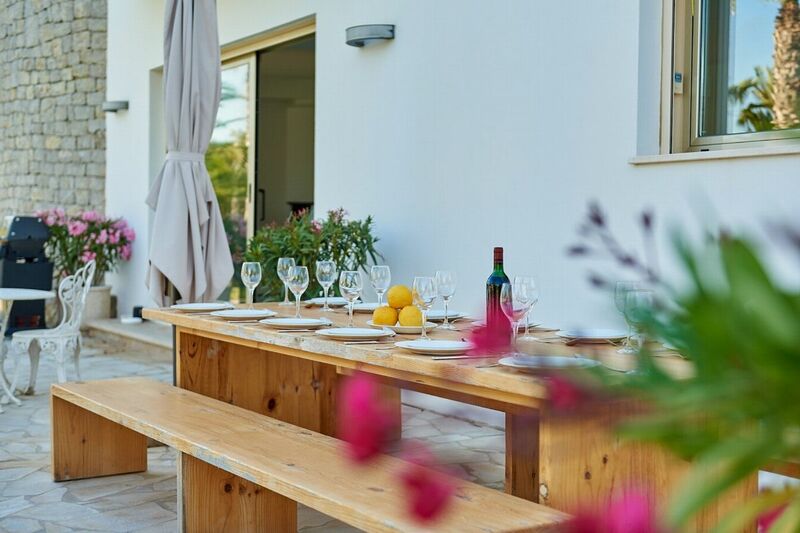 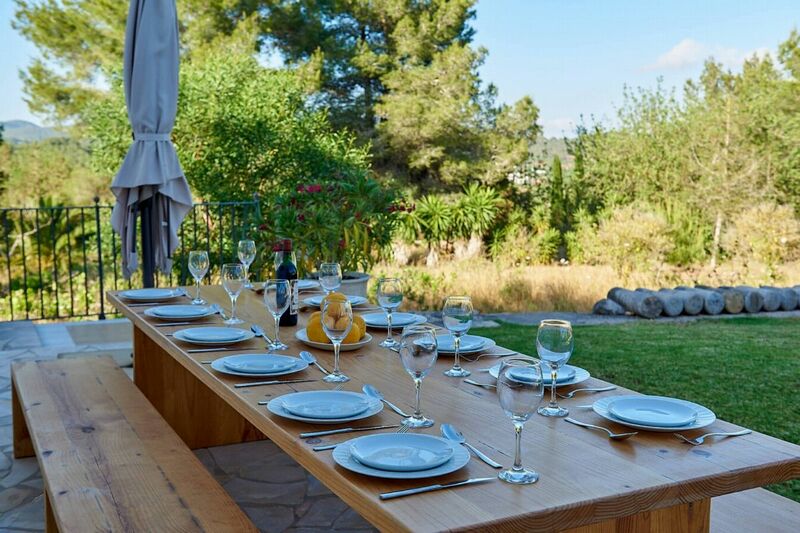 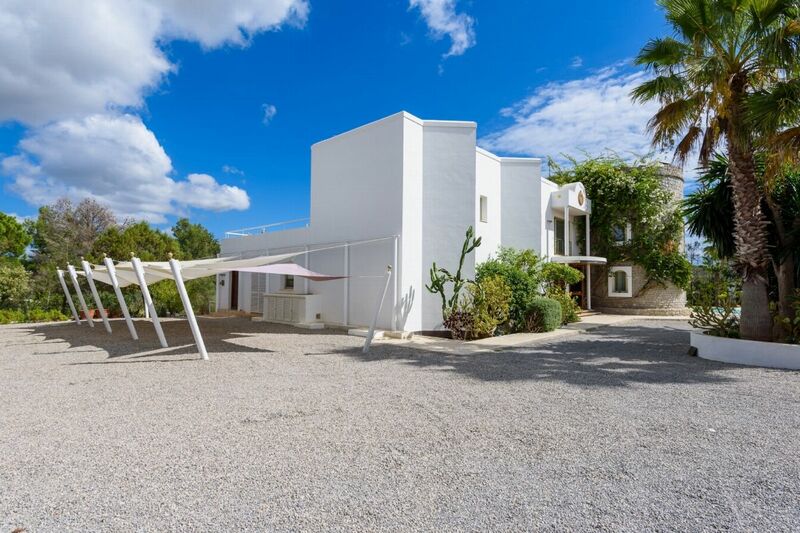 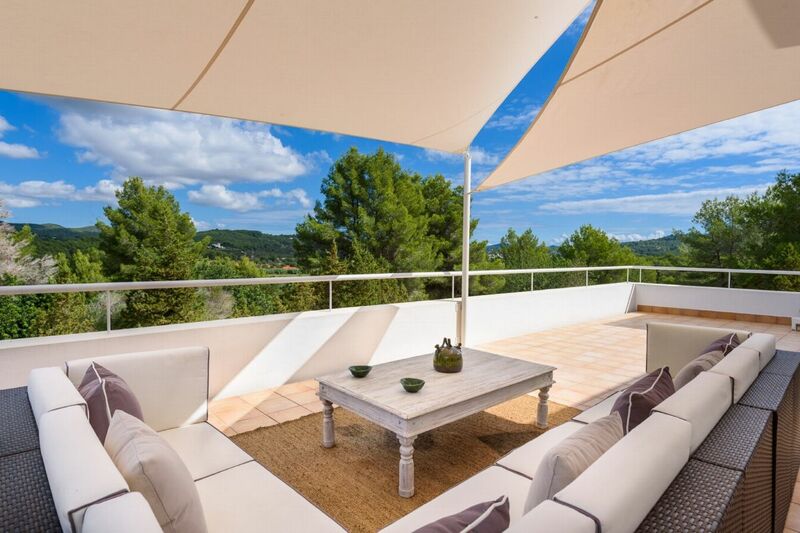 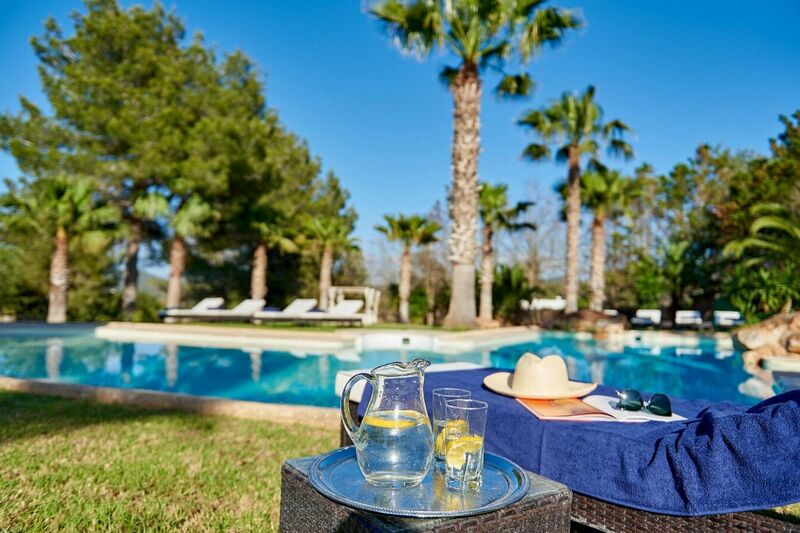 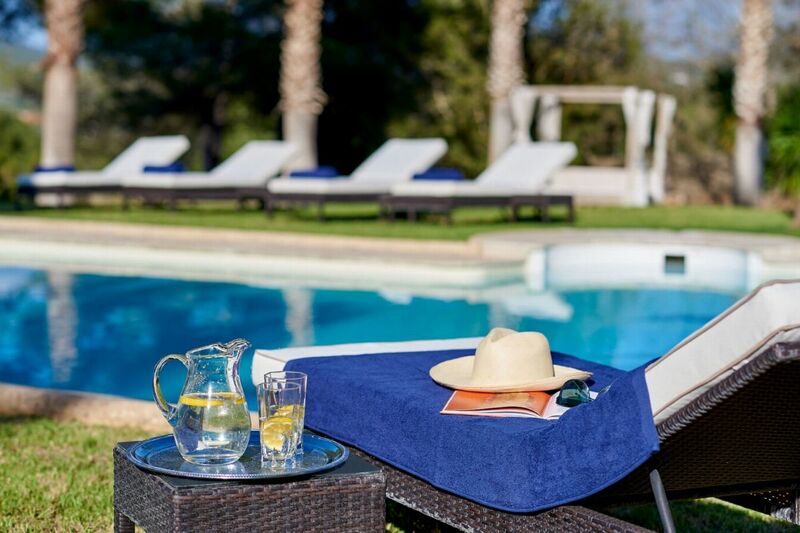 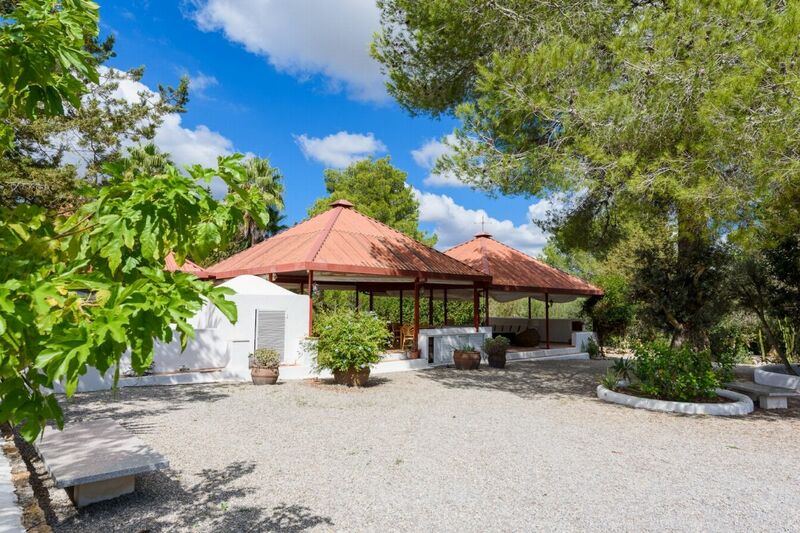 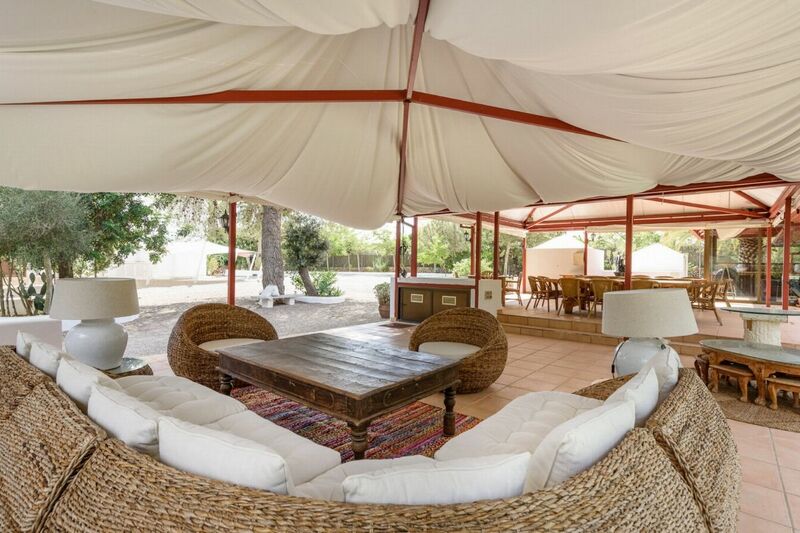 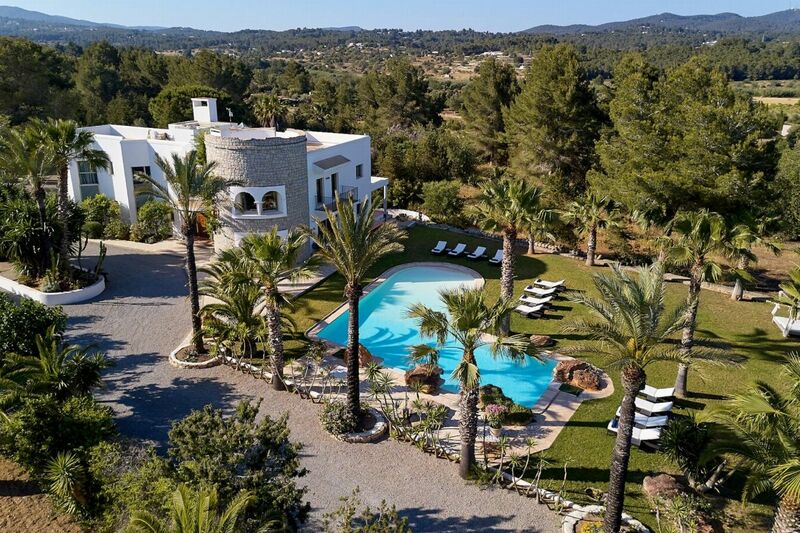 Luxurious family-friendly villa Stylish, relaxed living in the green Ibizan countryside between Ibiza Town, San Rafael and Santa Gertrudis. 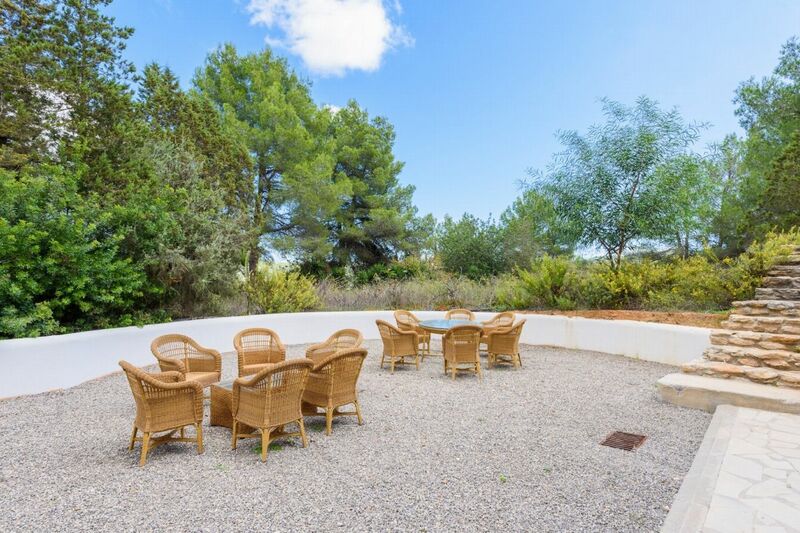 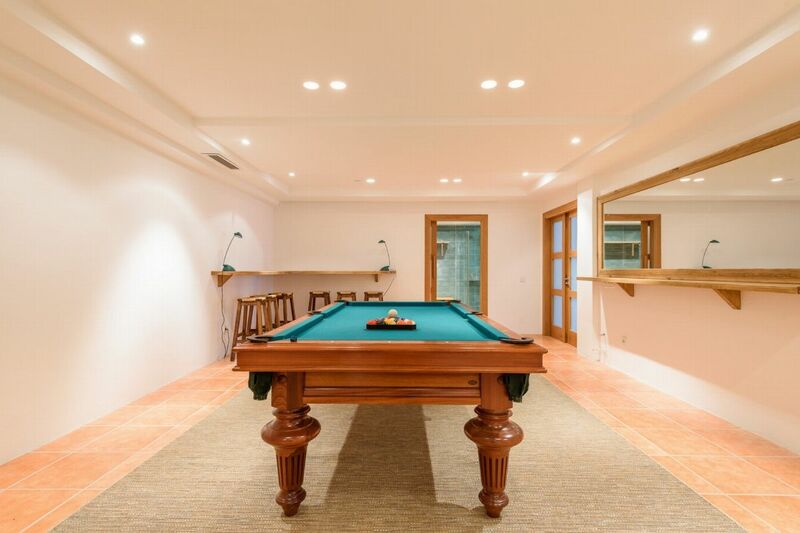 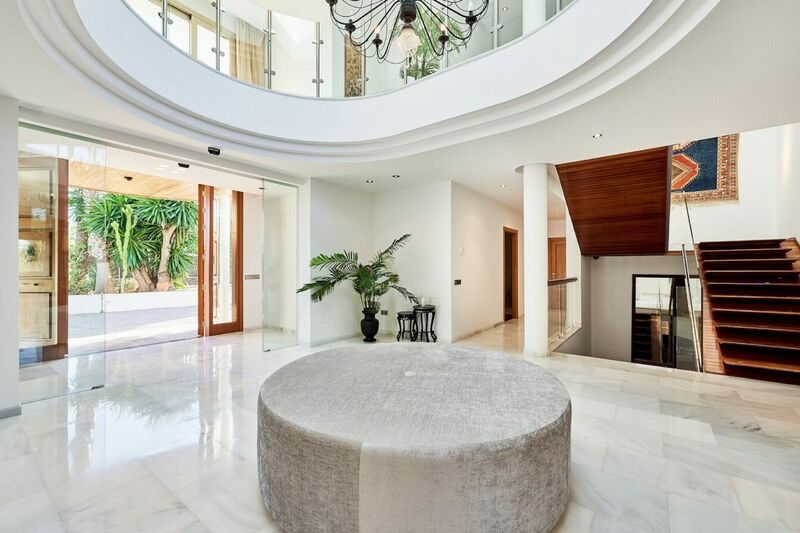 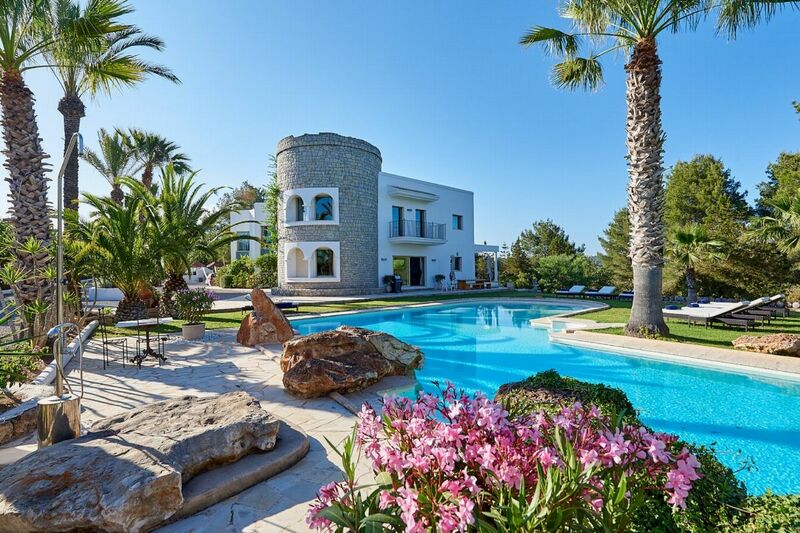 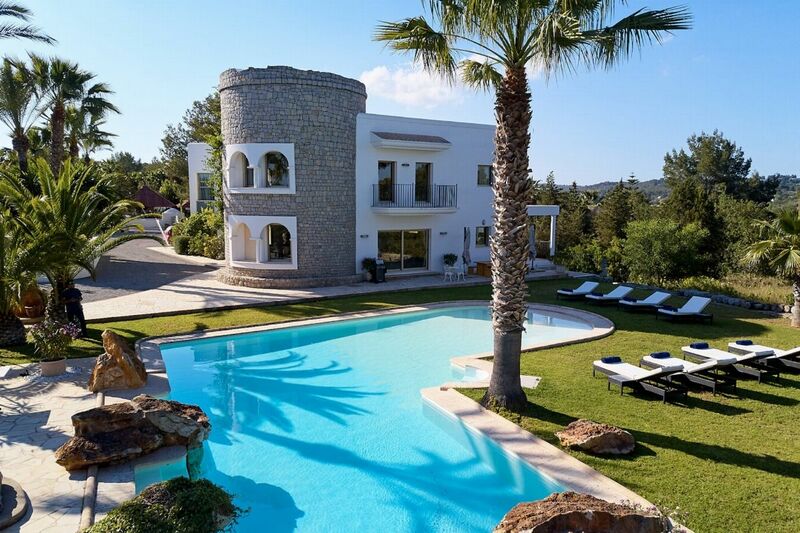 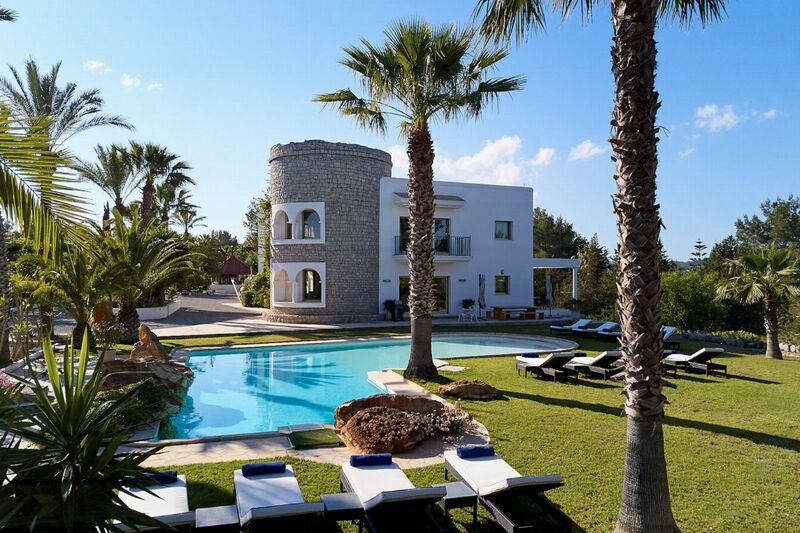 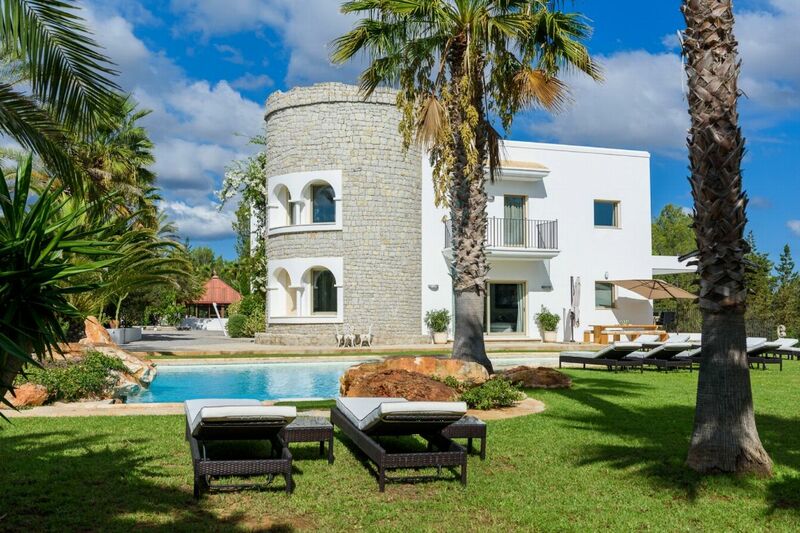 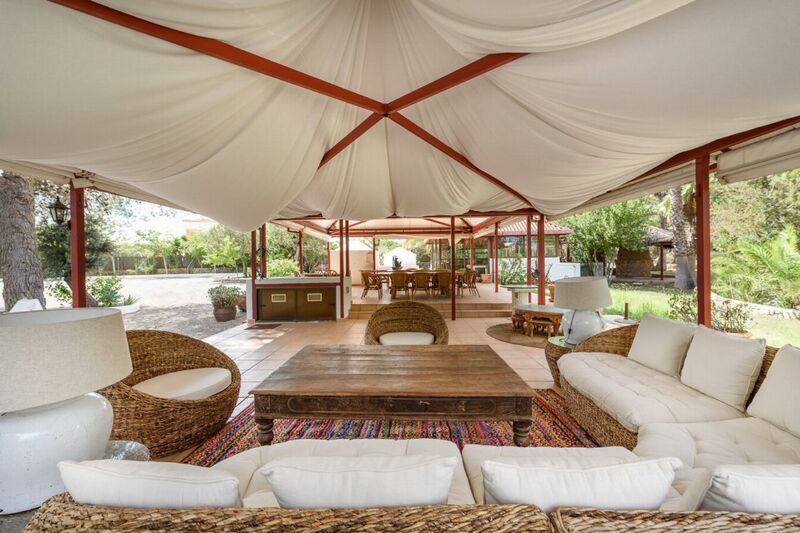 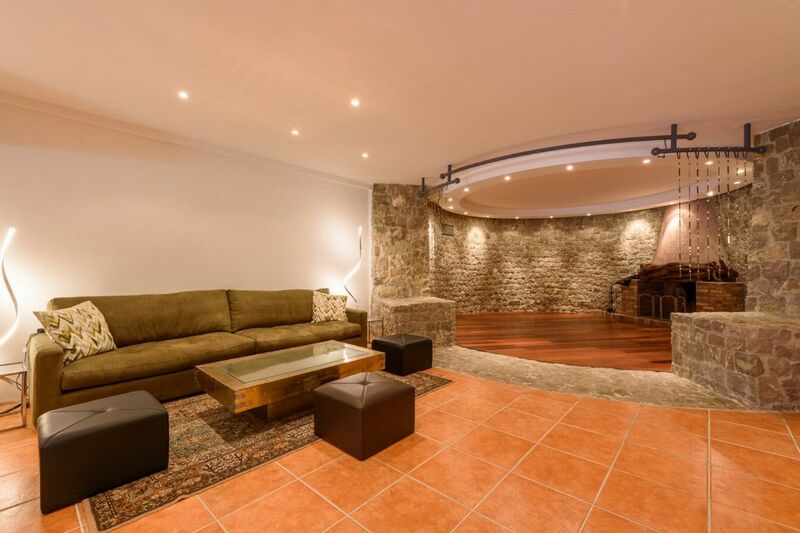 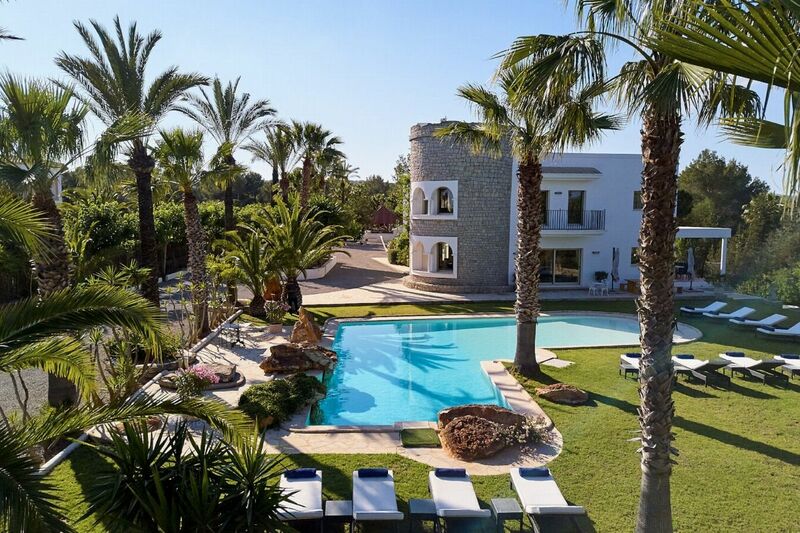 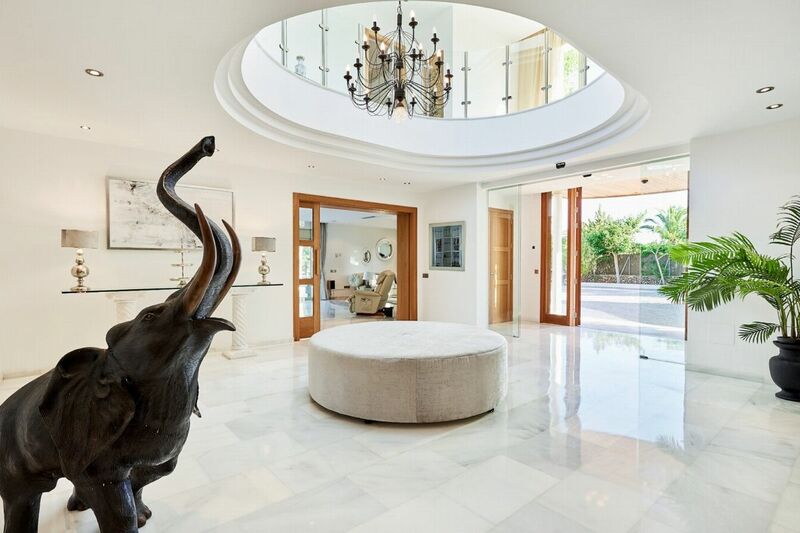 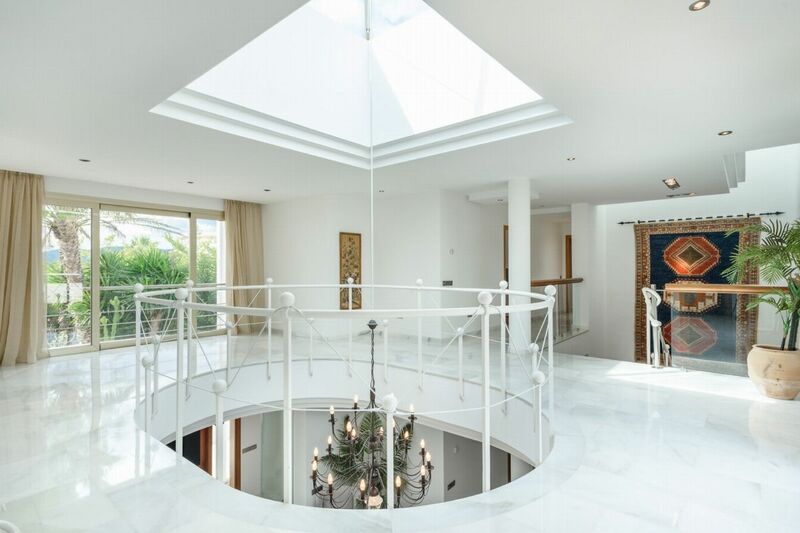 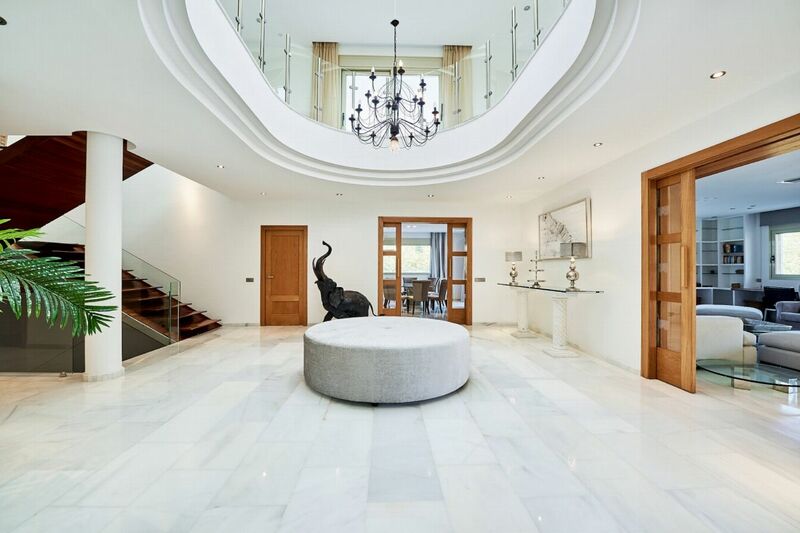 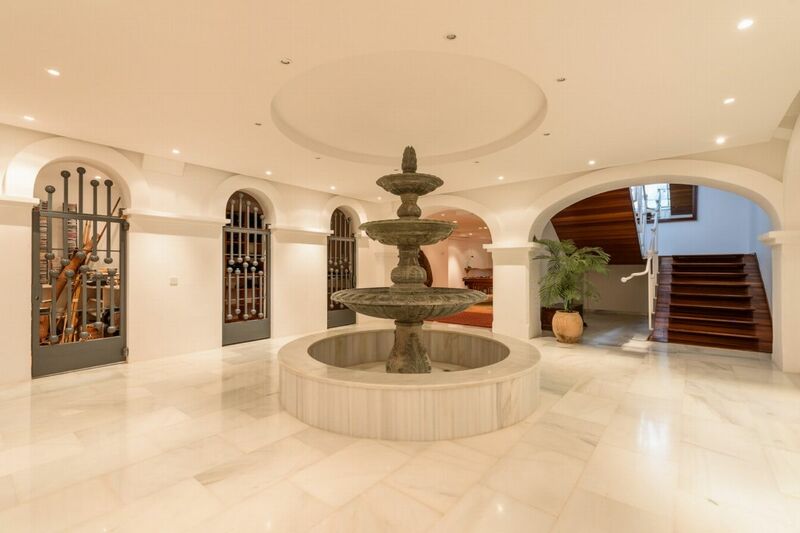 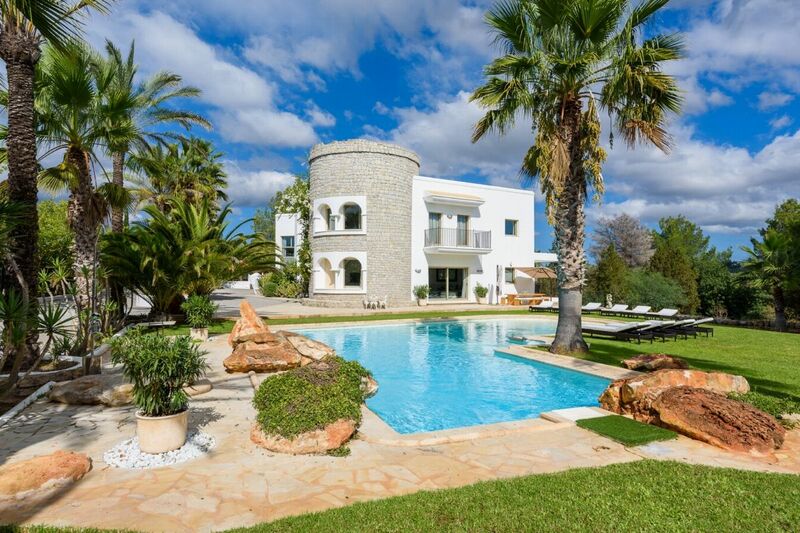 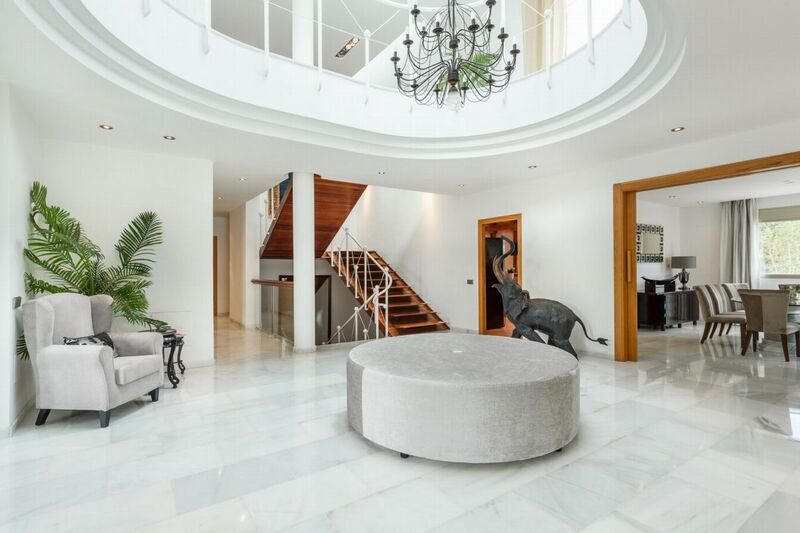 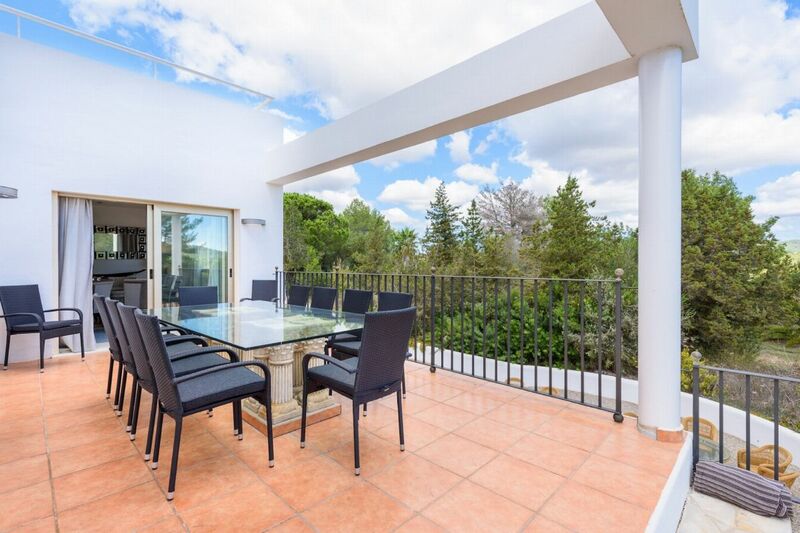 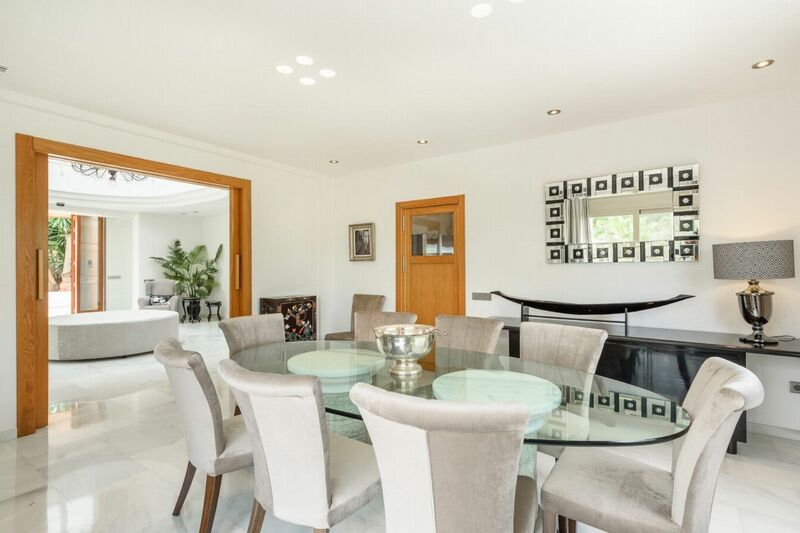 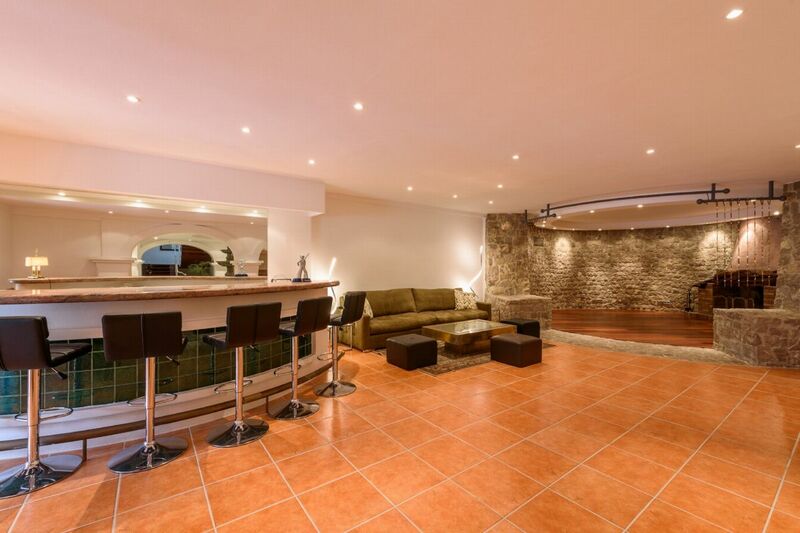 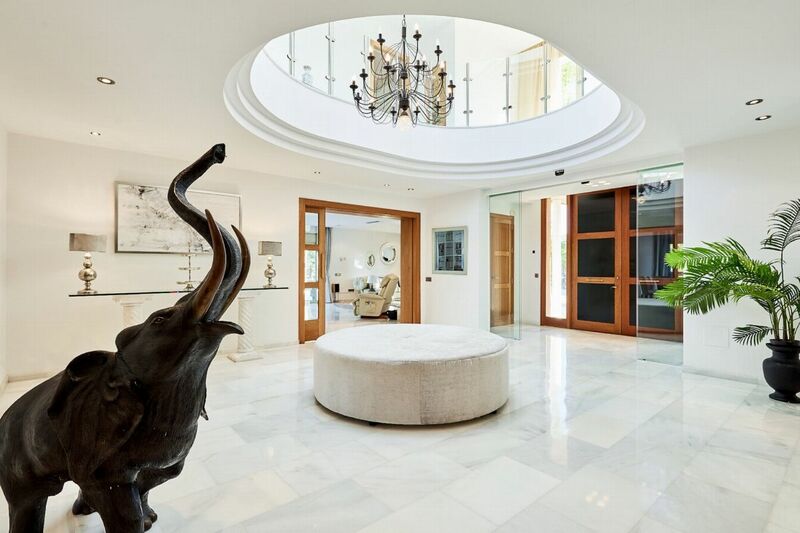 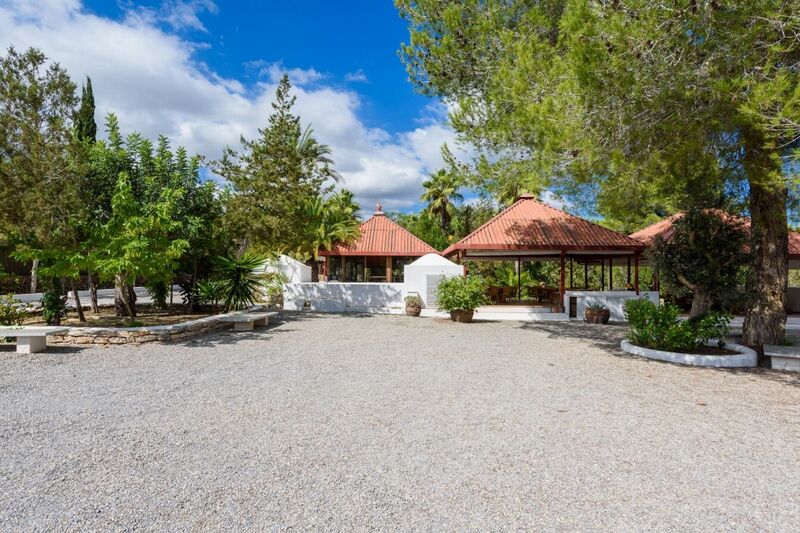 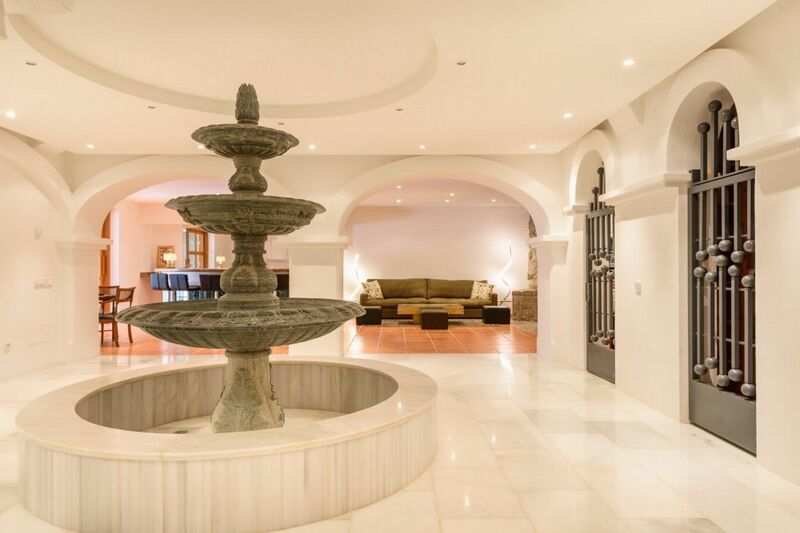 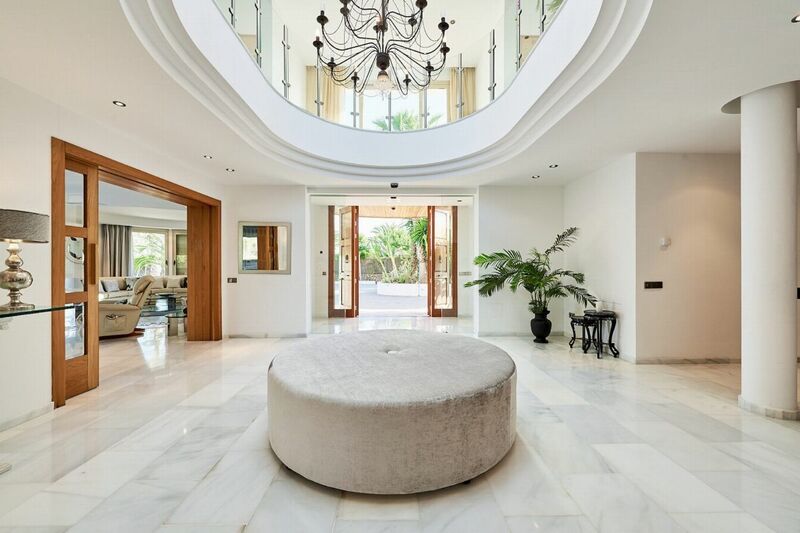 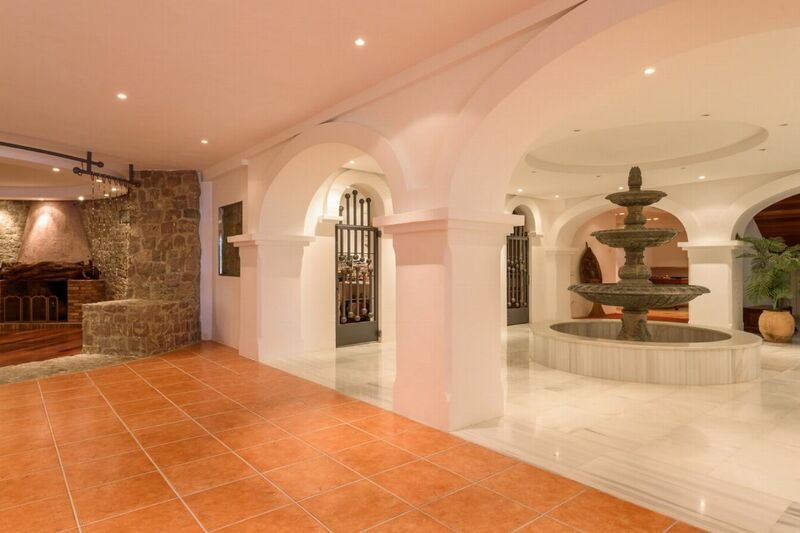 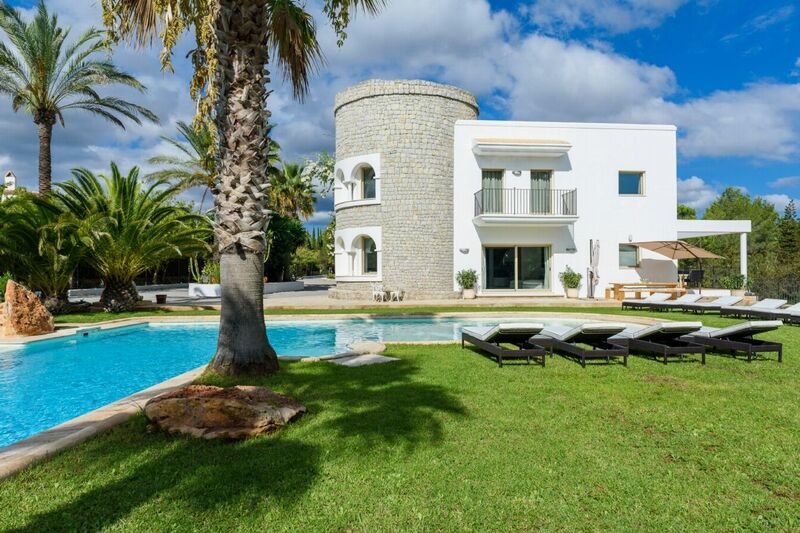 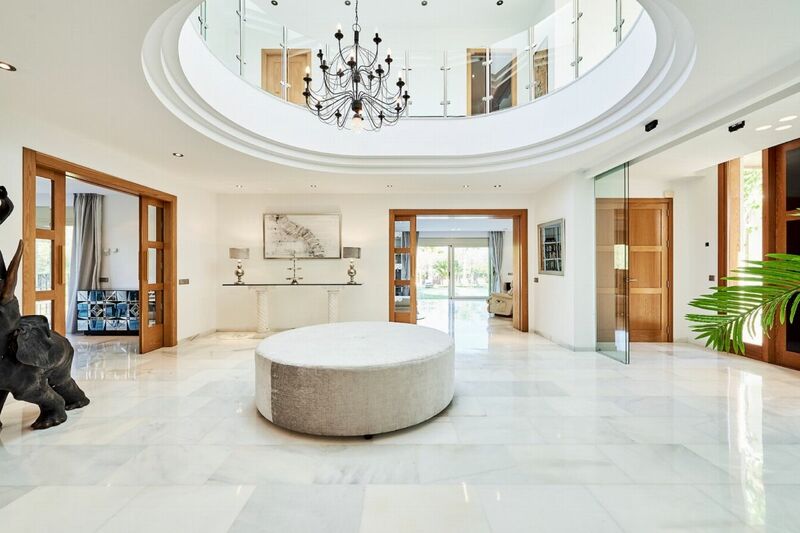 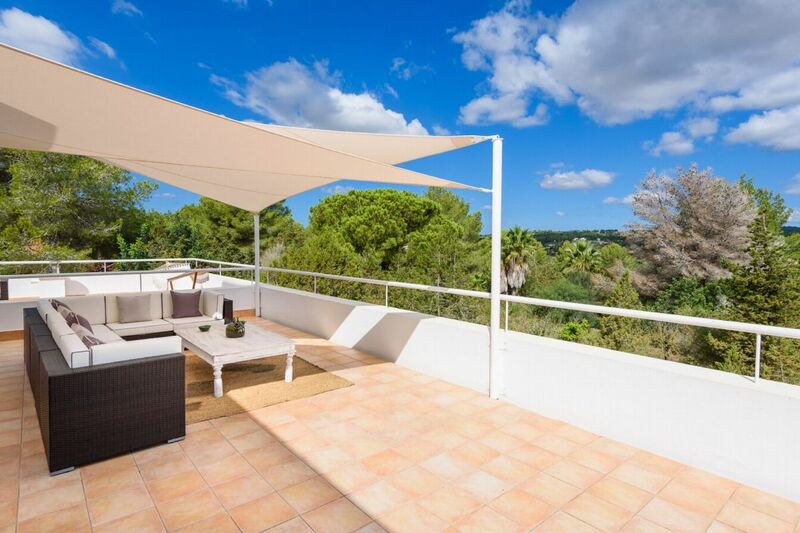 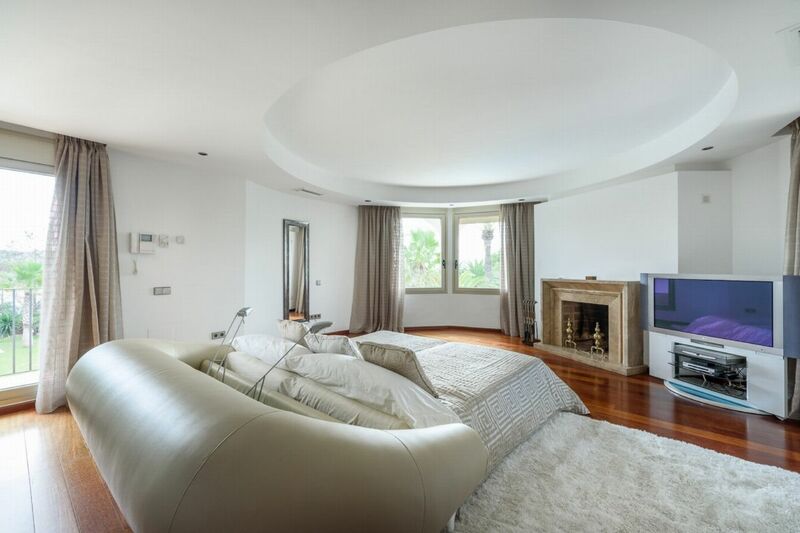 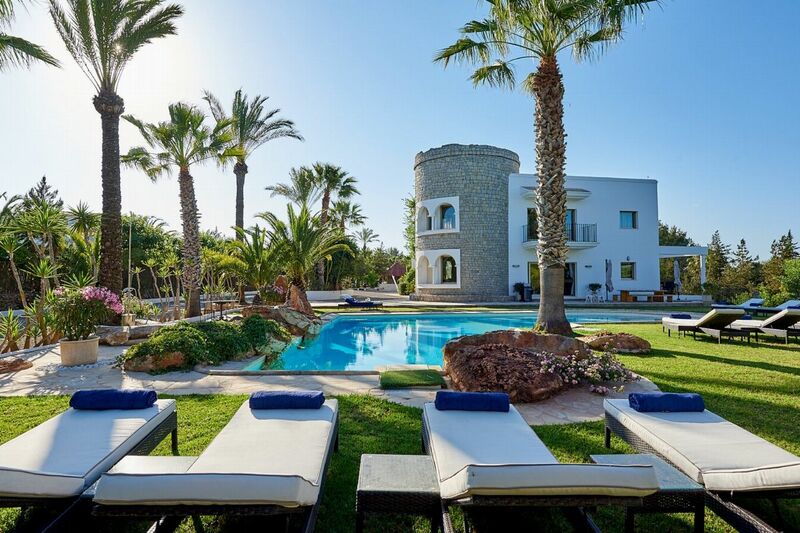 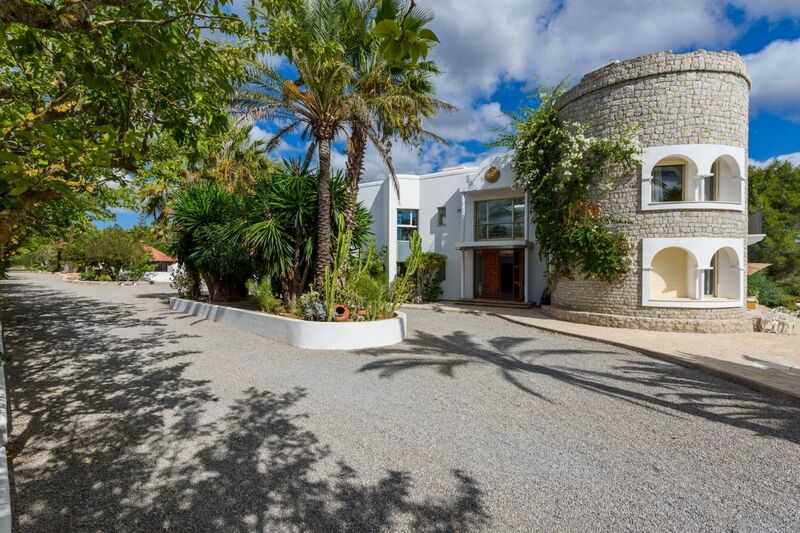 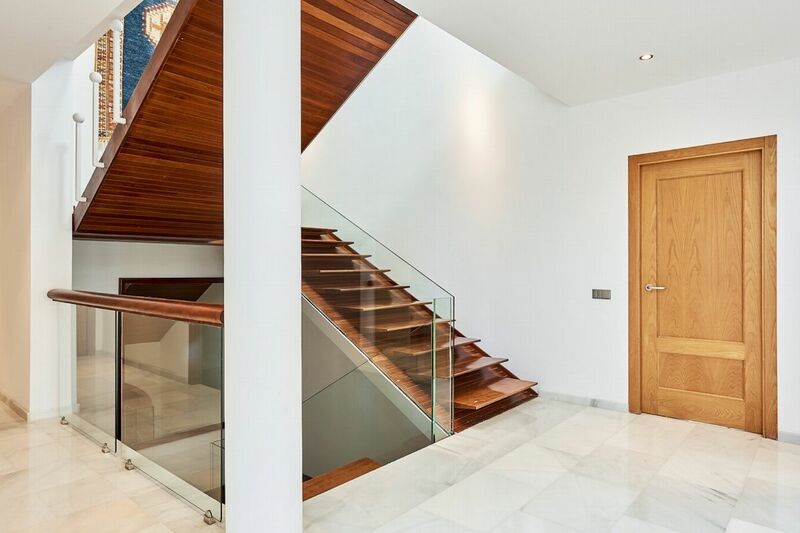 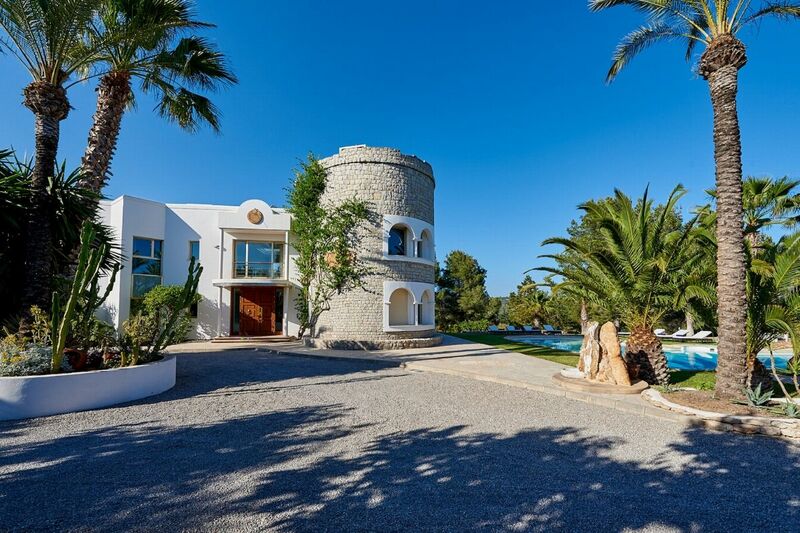 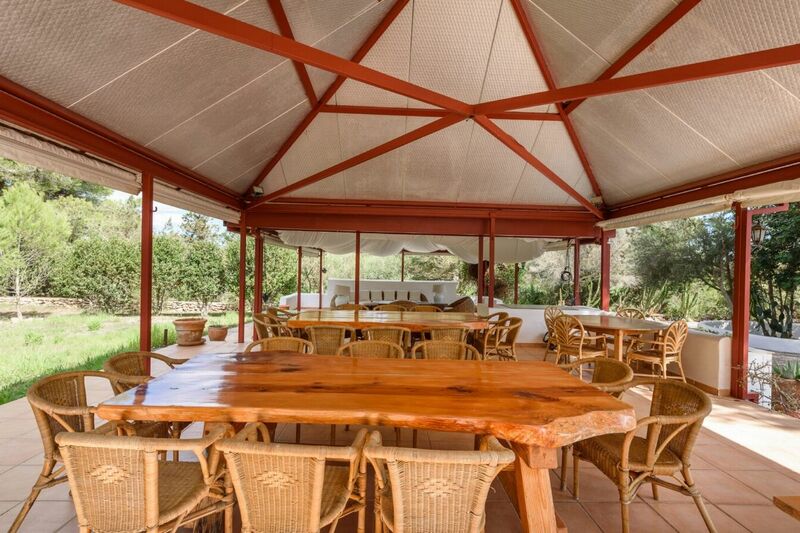 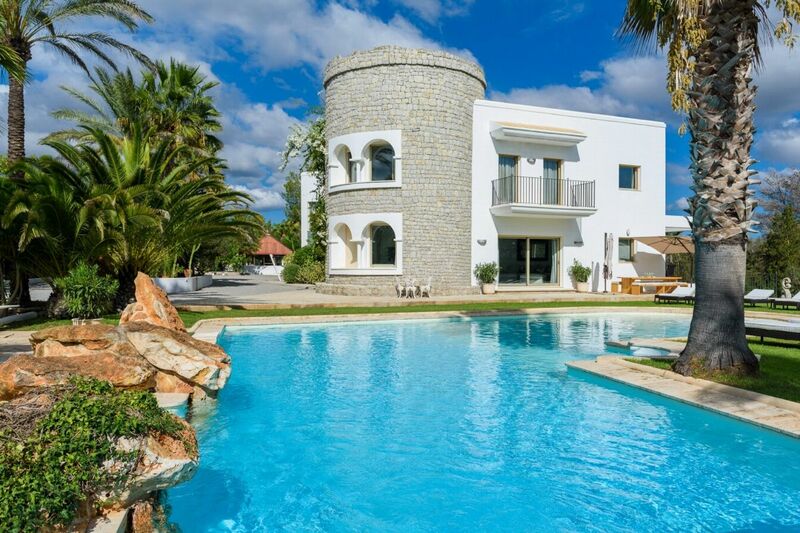 This impressive villa is ideal for relaxed socialising. 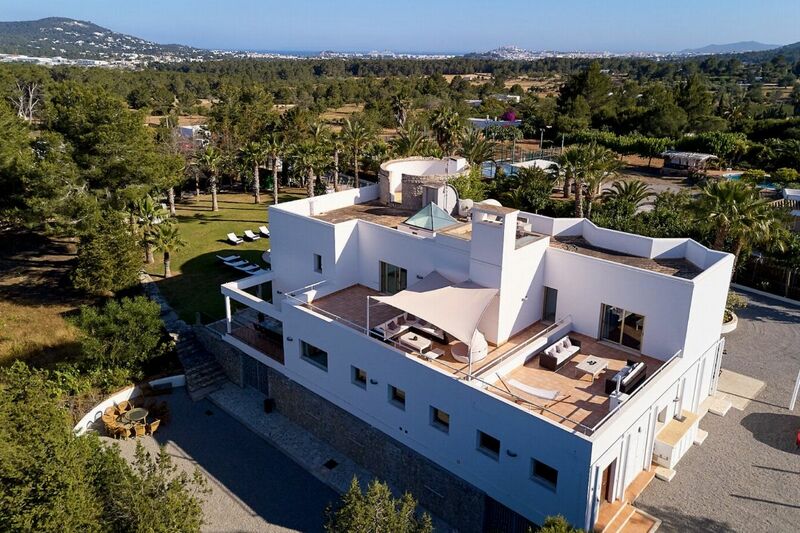 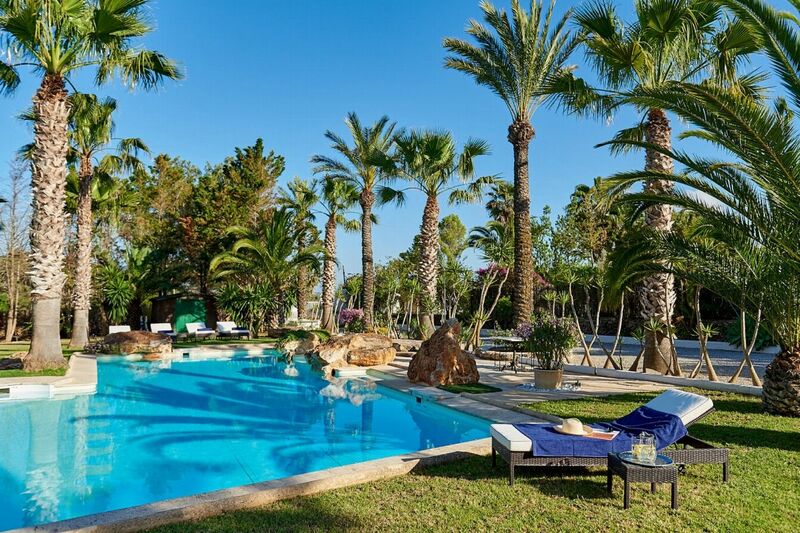 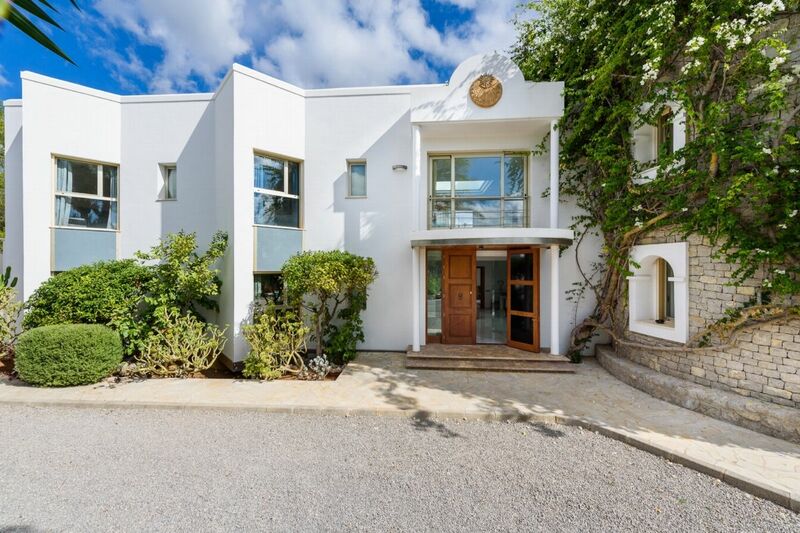 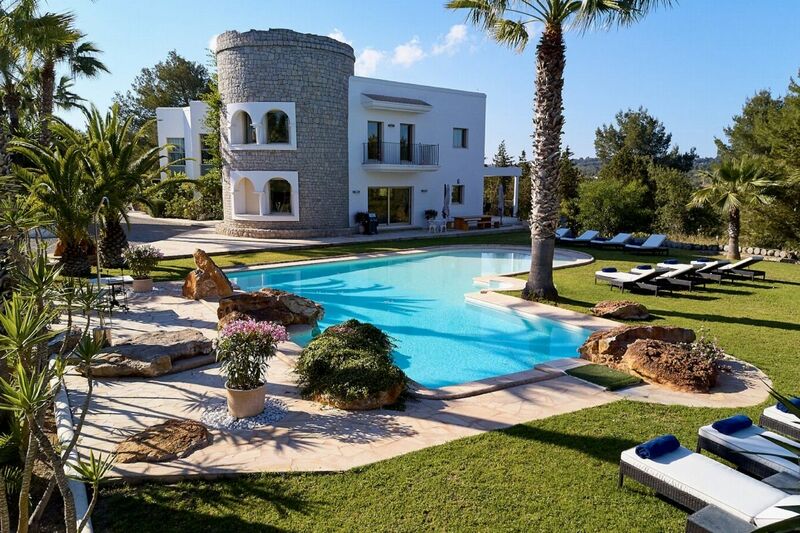 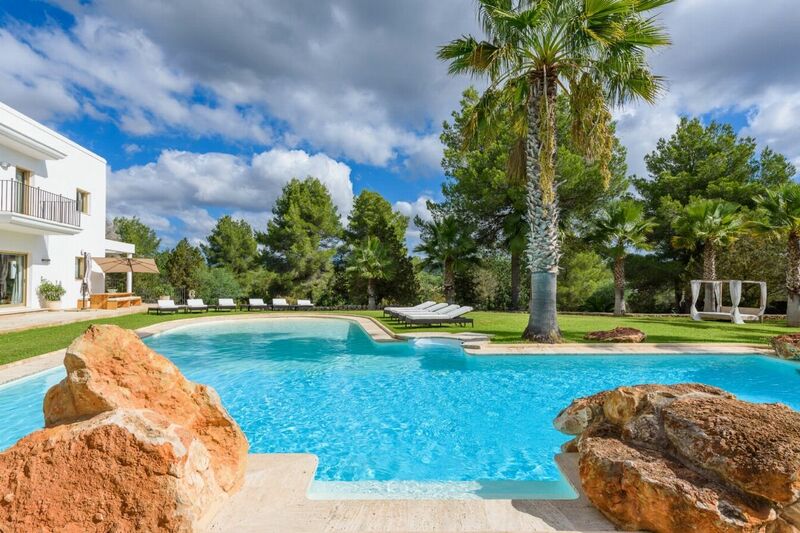 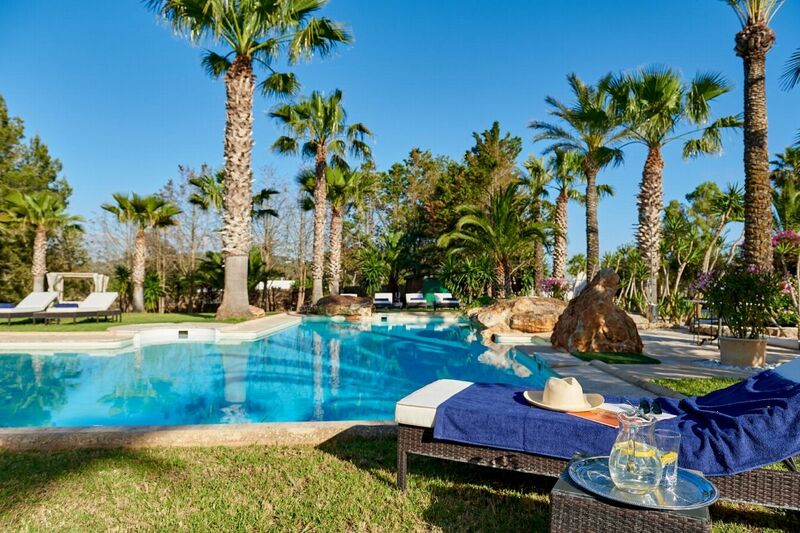 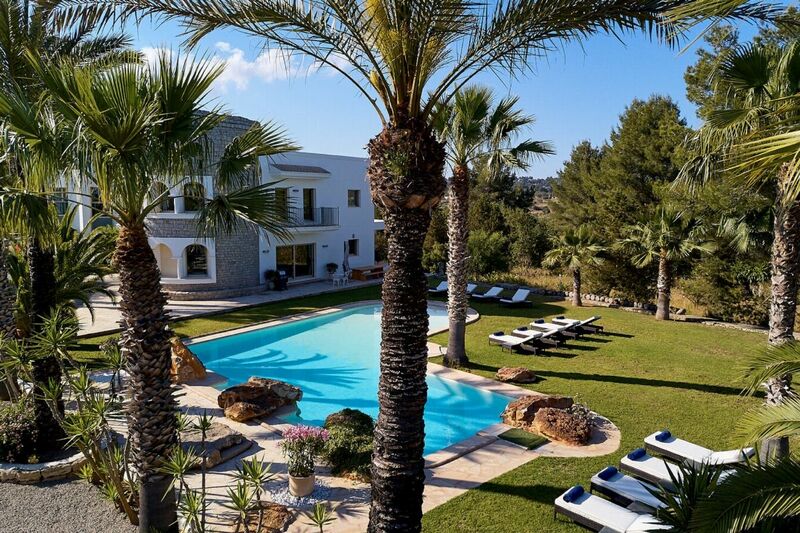 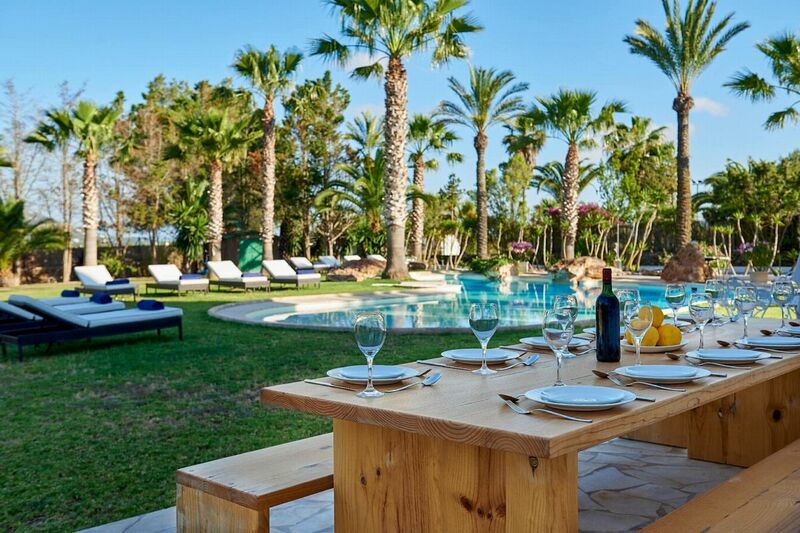 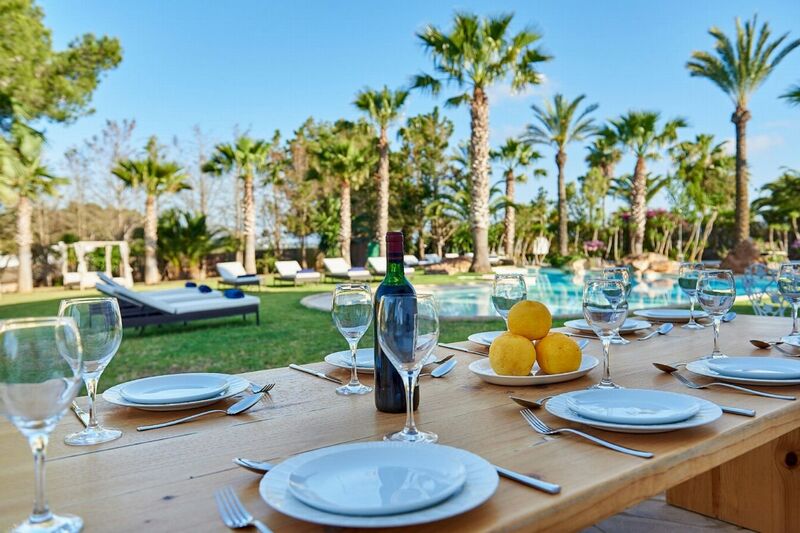 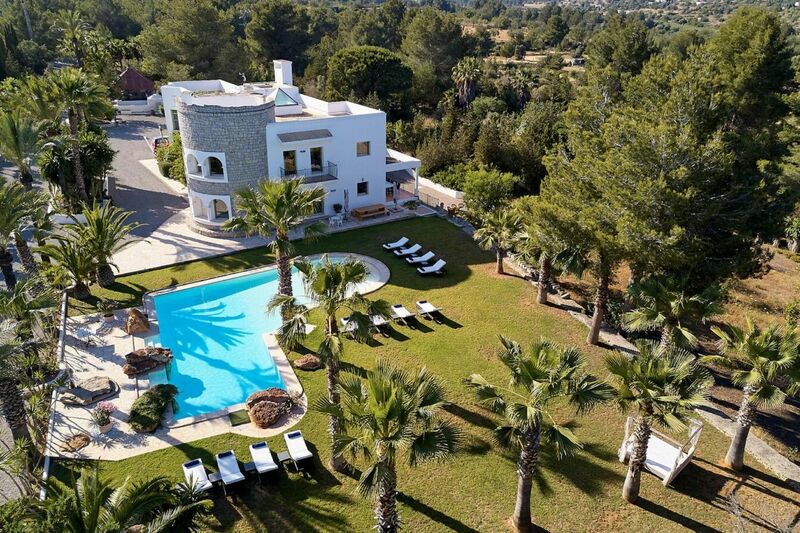 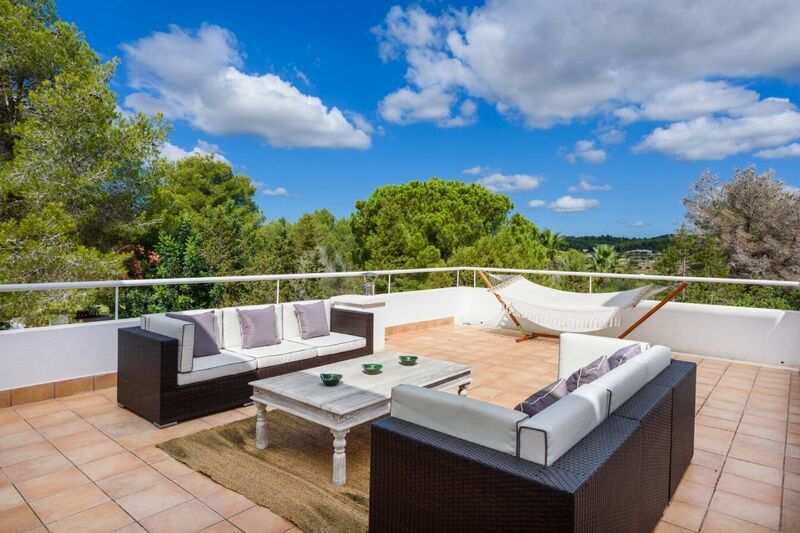 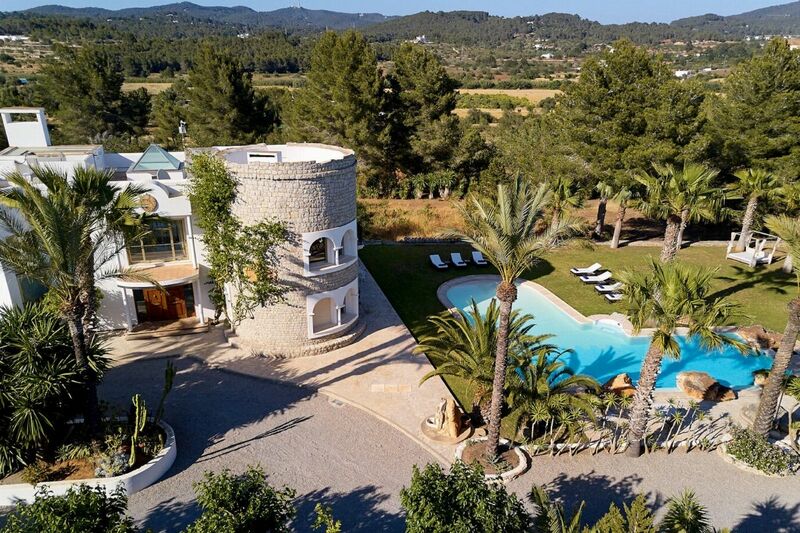 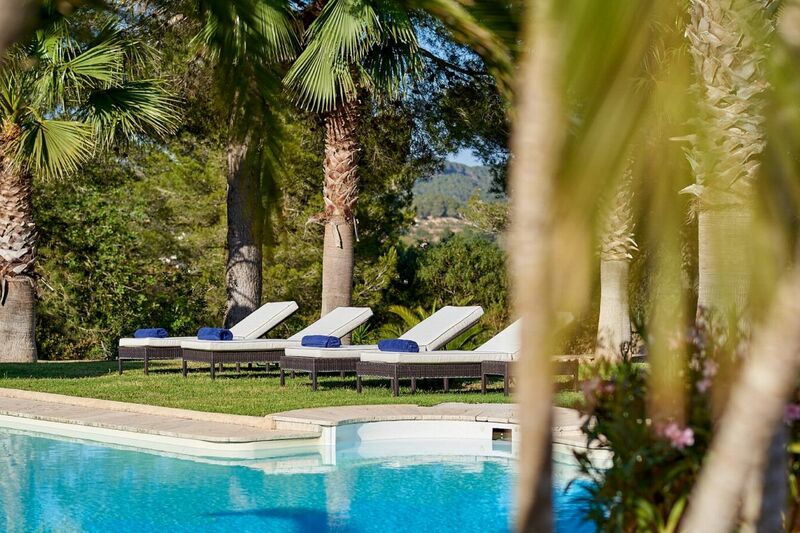 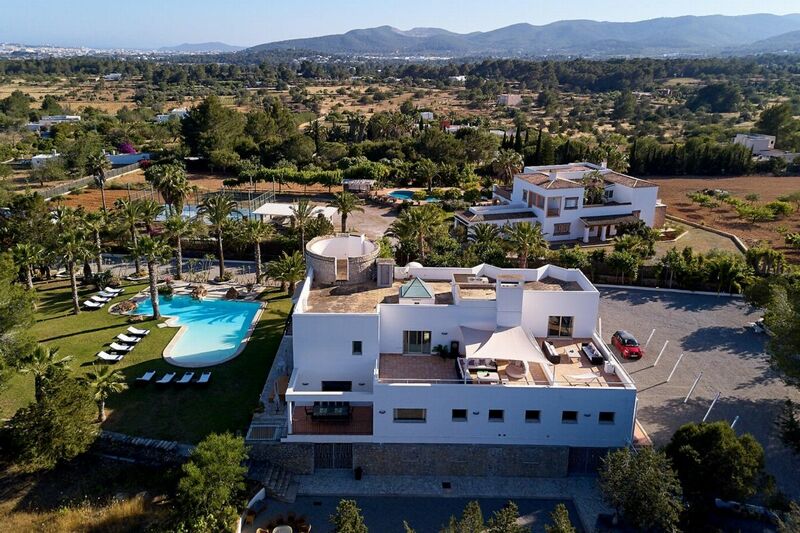 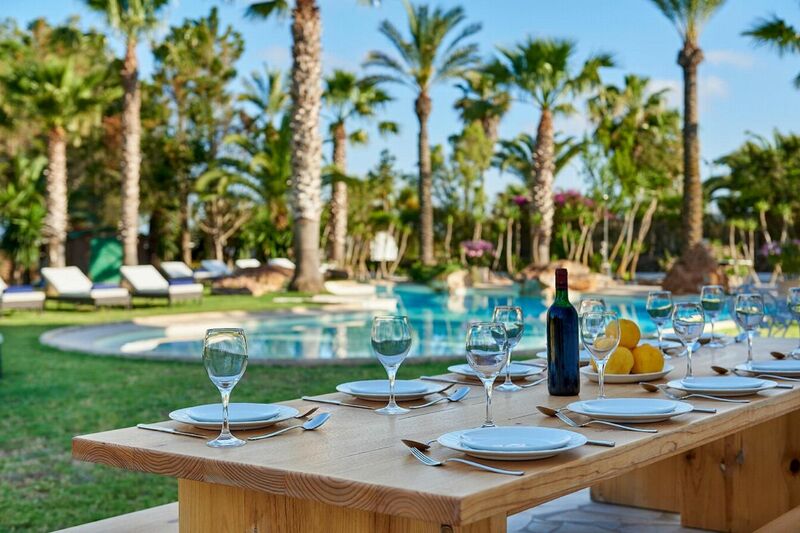 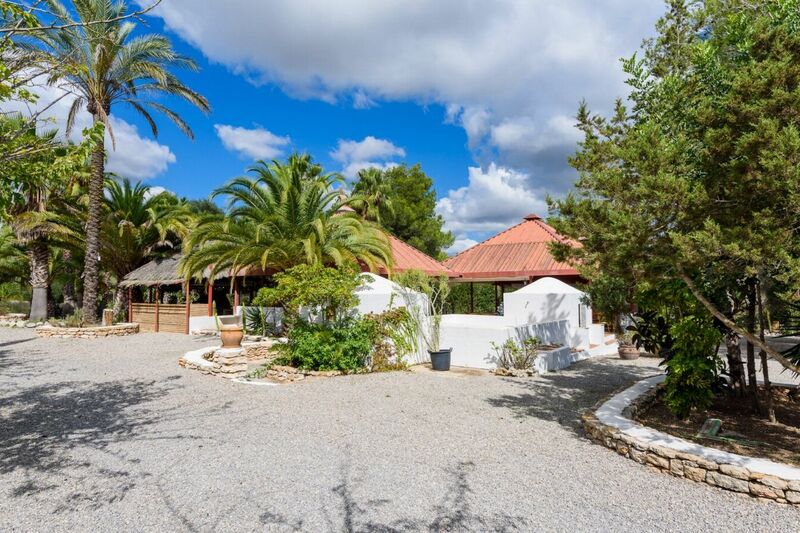 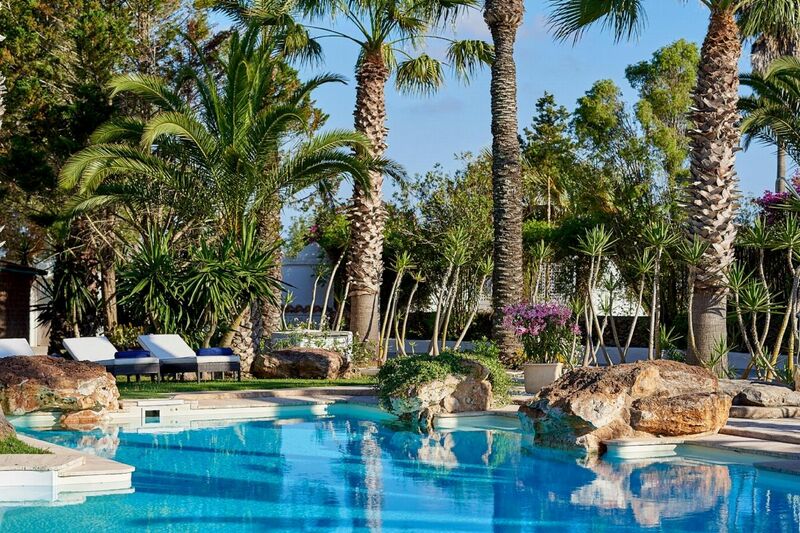 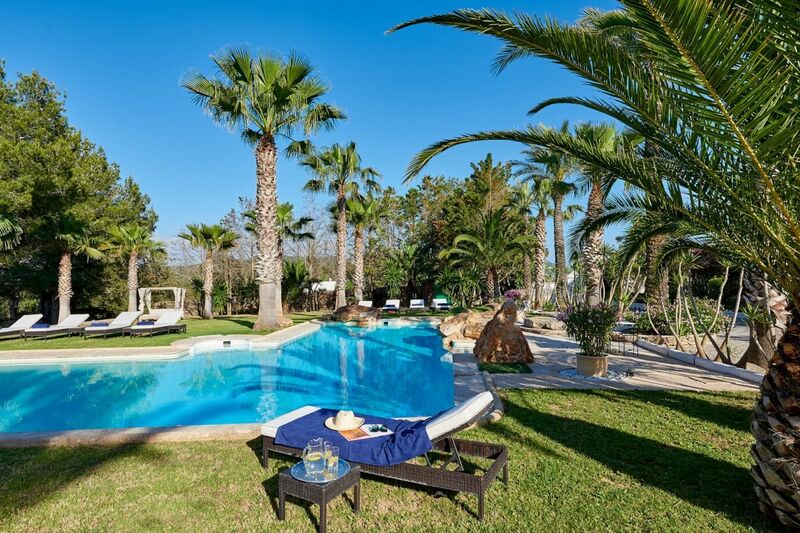 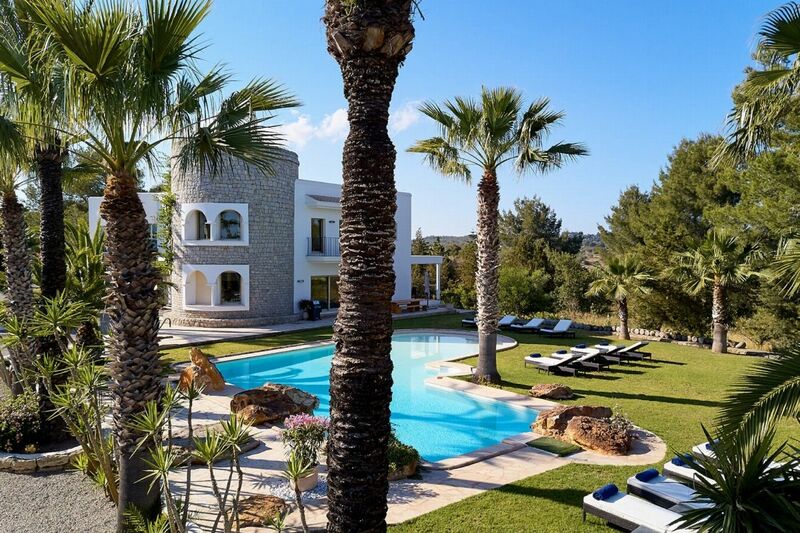 Palm trees fill the landscaped gardens which sweep around this Ibizan holiday villa, affording wonderful views over open countryside and the propertyâ€™s 15,000m2 of private grounds. 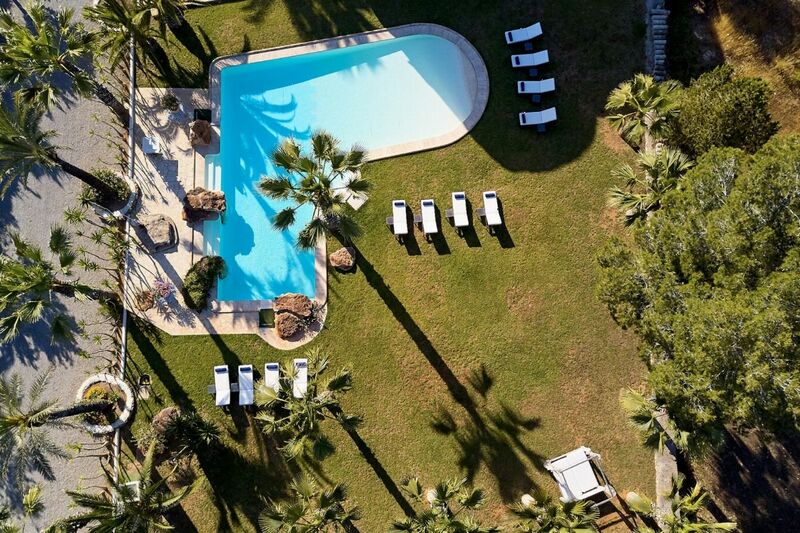 The L-shaped pool features a gently shelving beach. 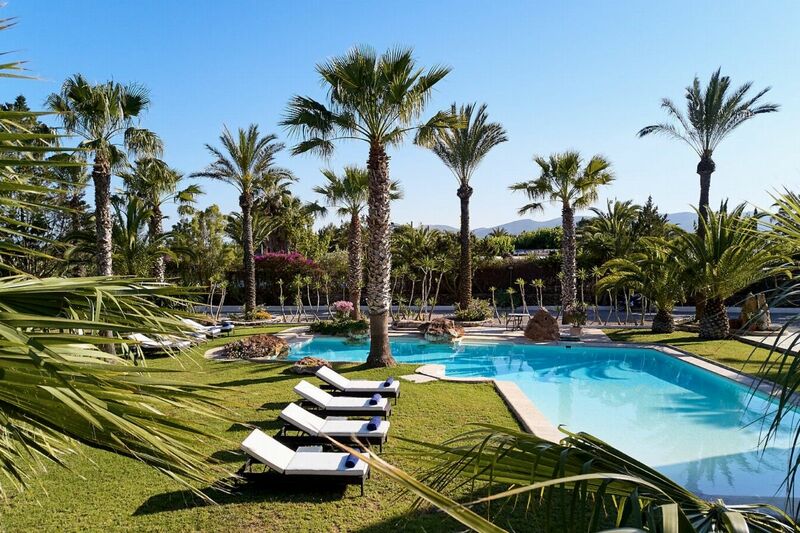 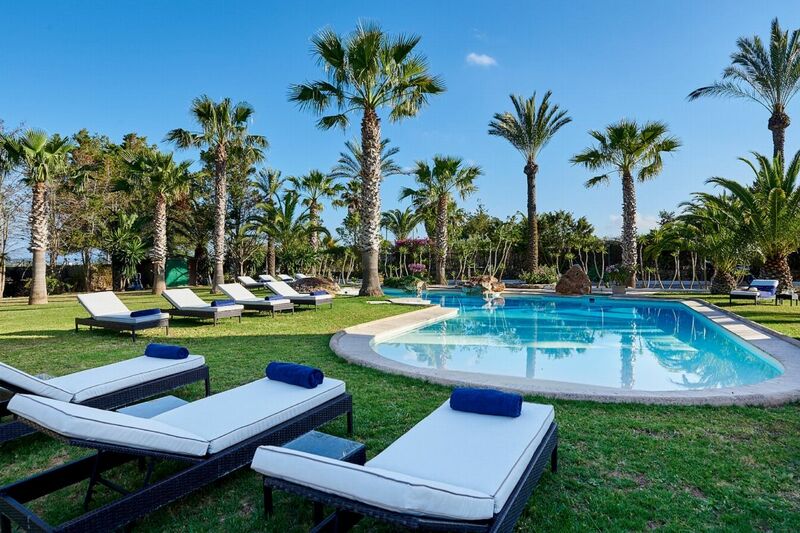 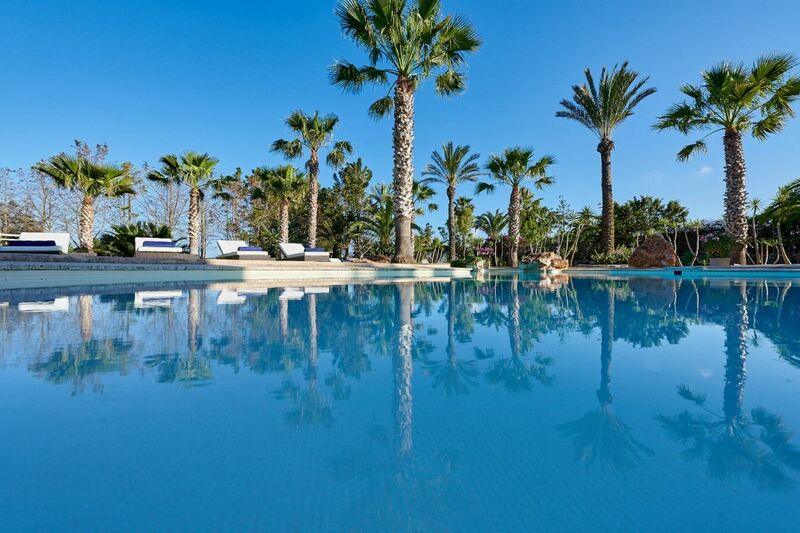 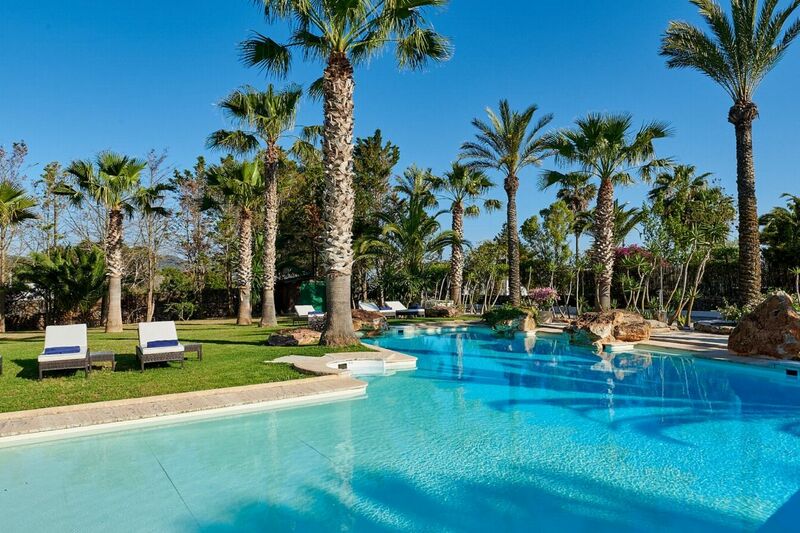 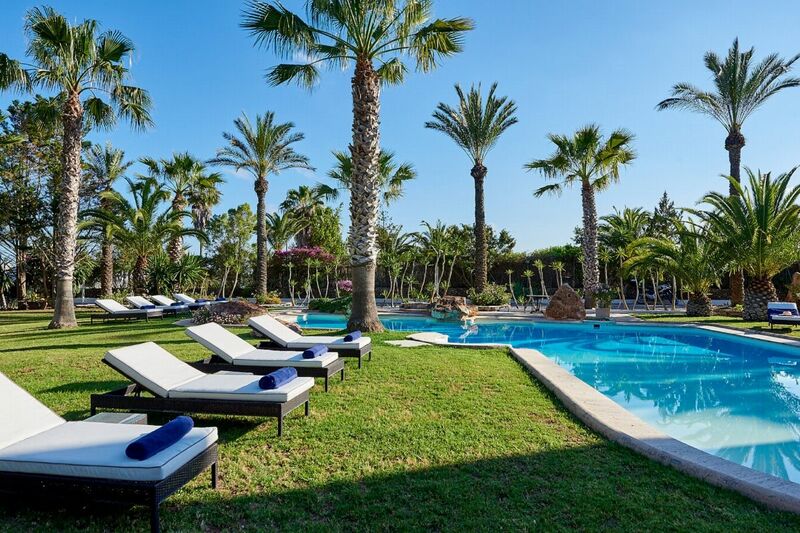 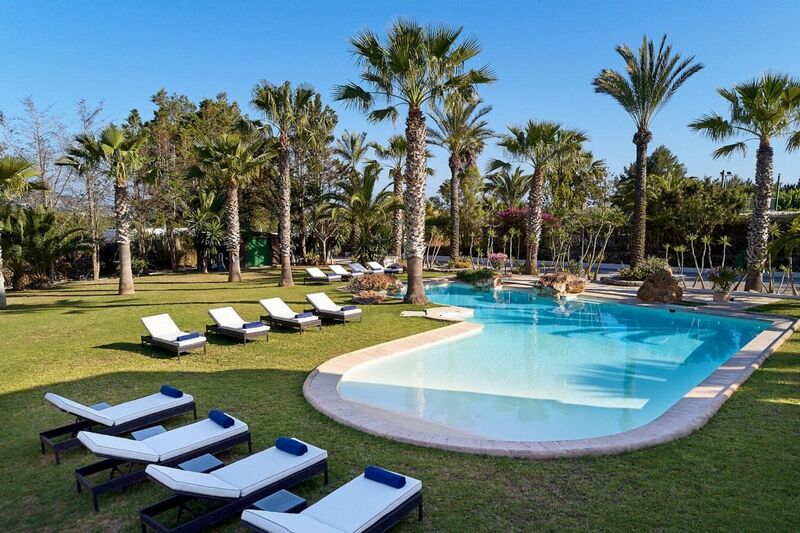 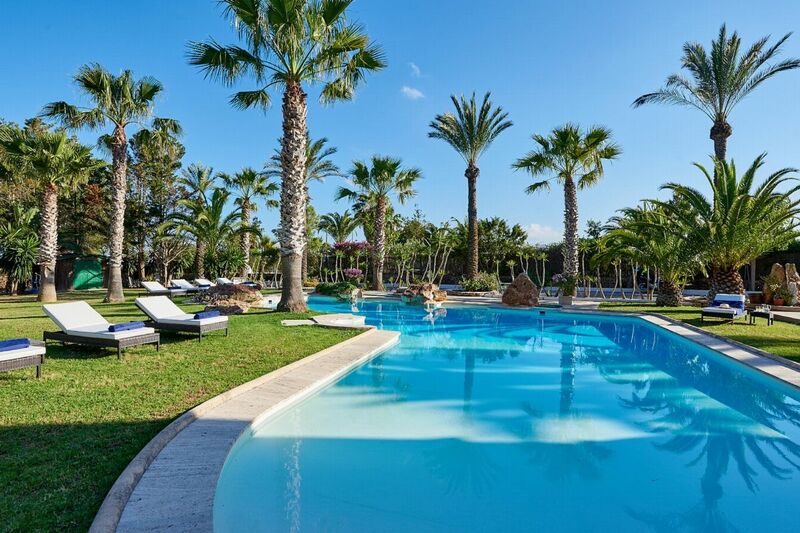 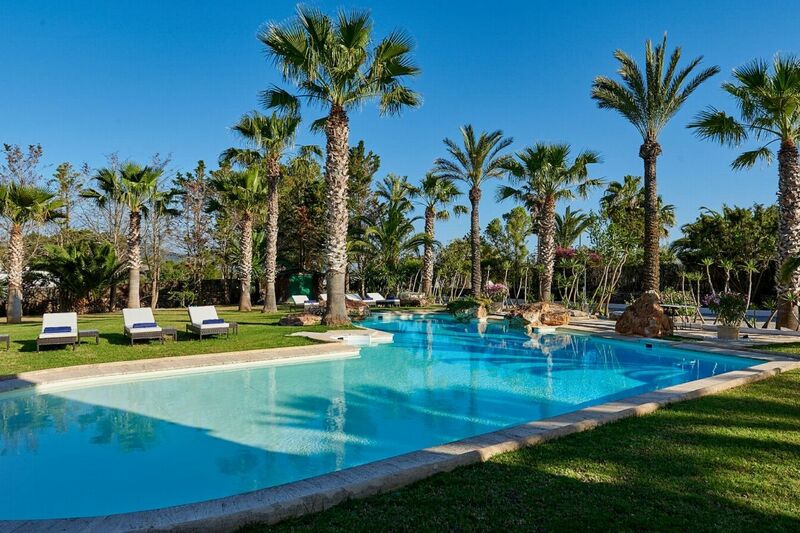 Relax in the poolside loungers or under the shady palms or stretch it out on the outdoor yoga platform. 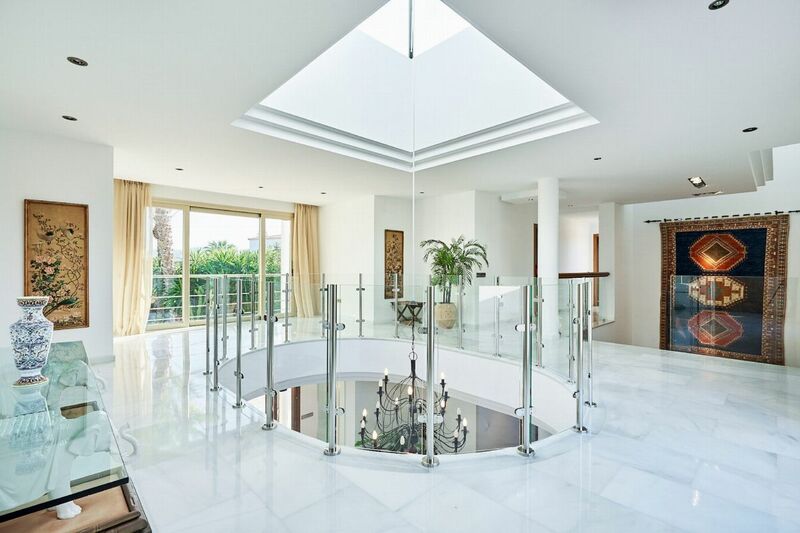 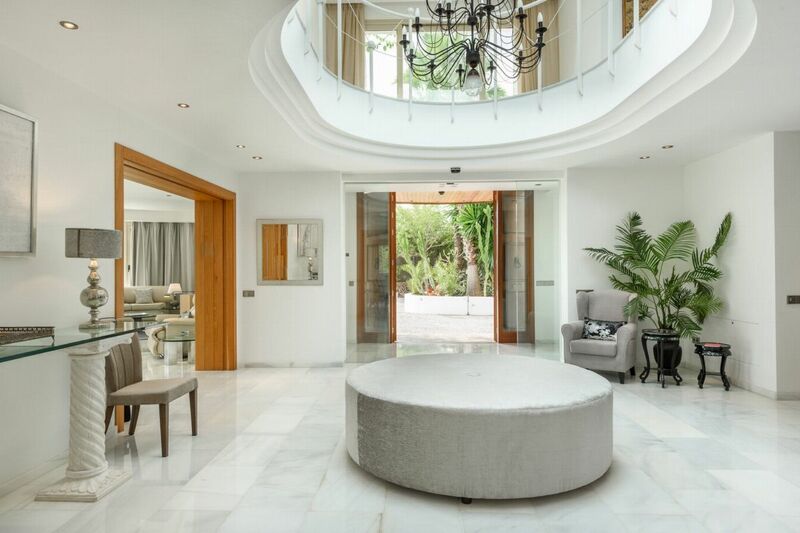 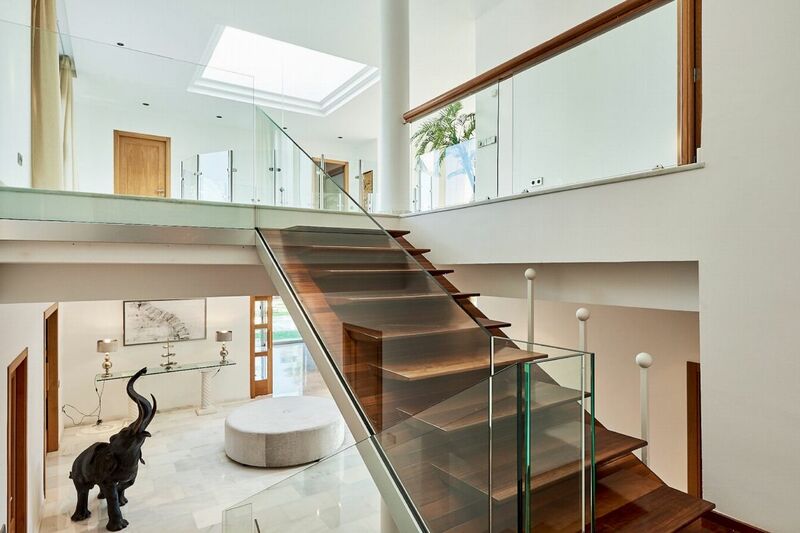 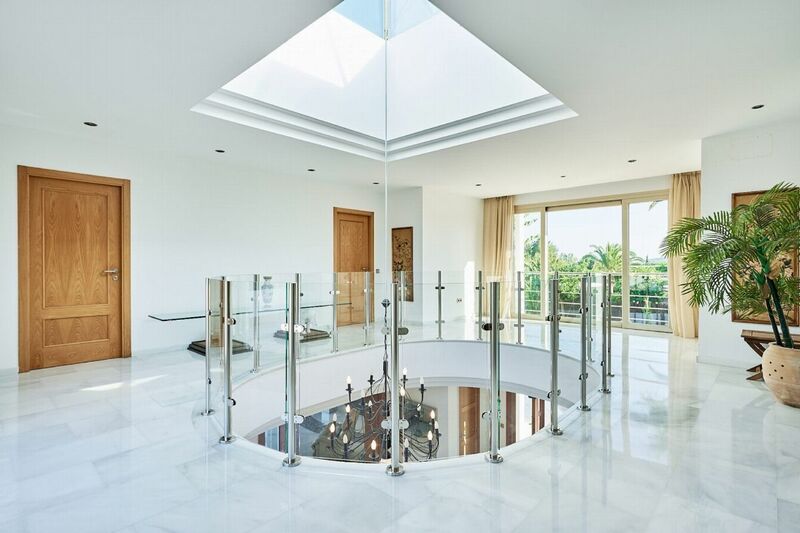 Inside, youâ€™re greeted by the impressive atrium with views up to the landing above and out across gleaming marble floors to the sparkling turquoise pool. 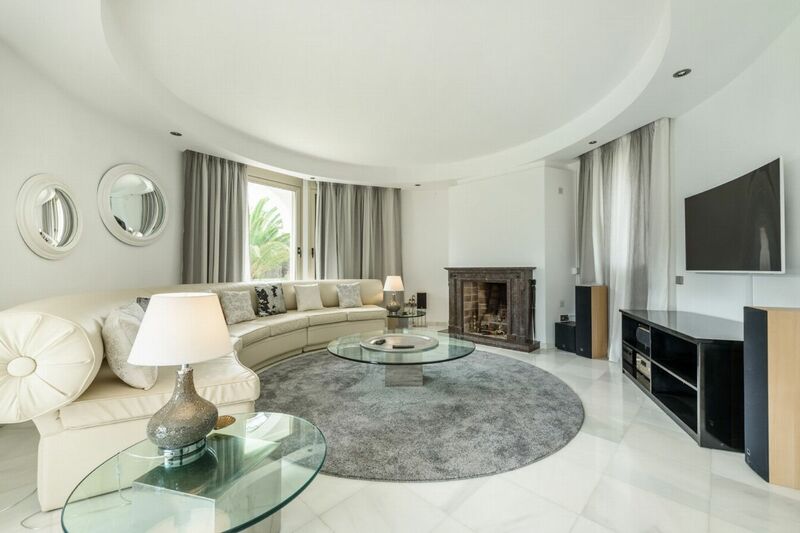 A cosy living room with open fire is open-plan to a larger library area with lounge seating. 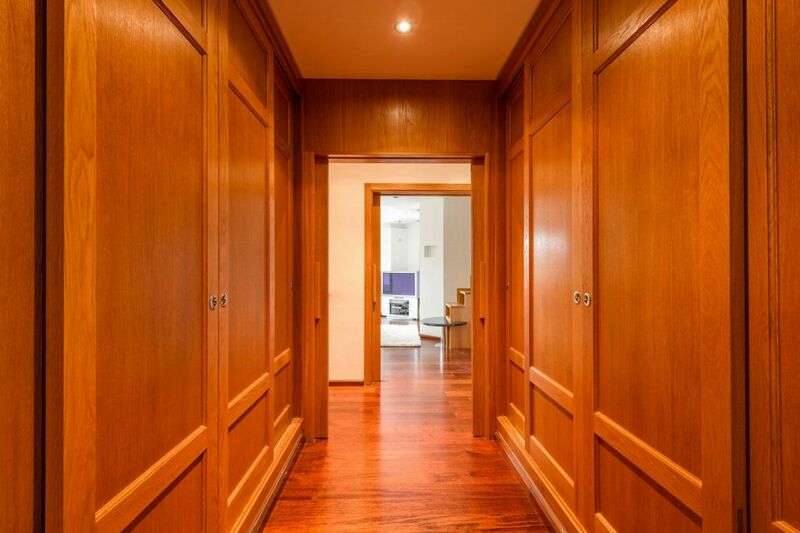 Across the hall, a dining room opens up to a shaded exterior dining area and a large, fully-equipped kitchen. 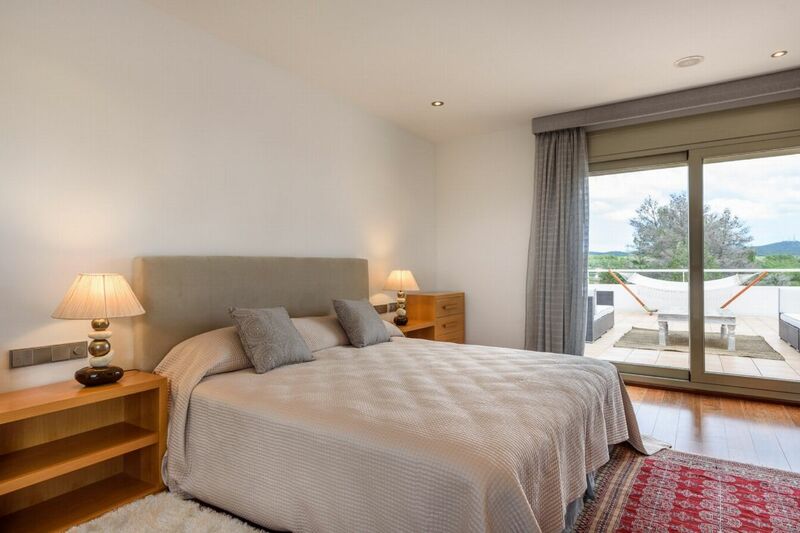 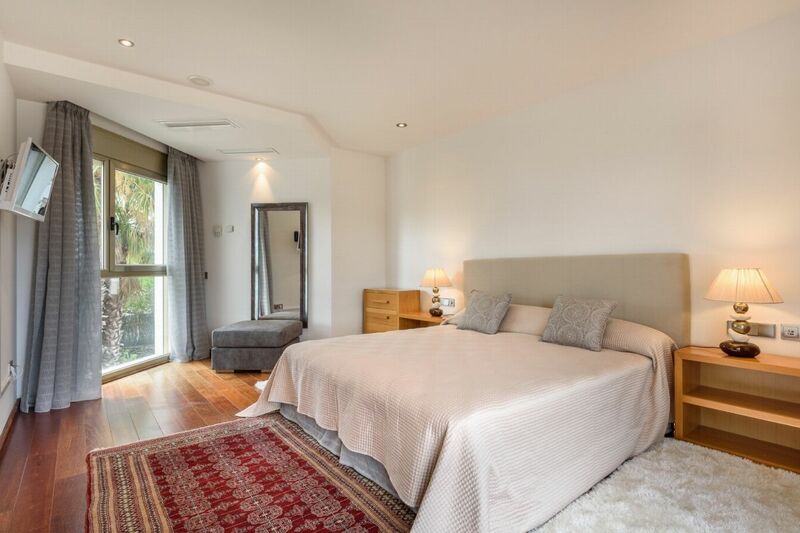 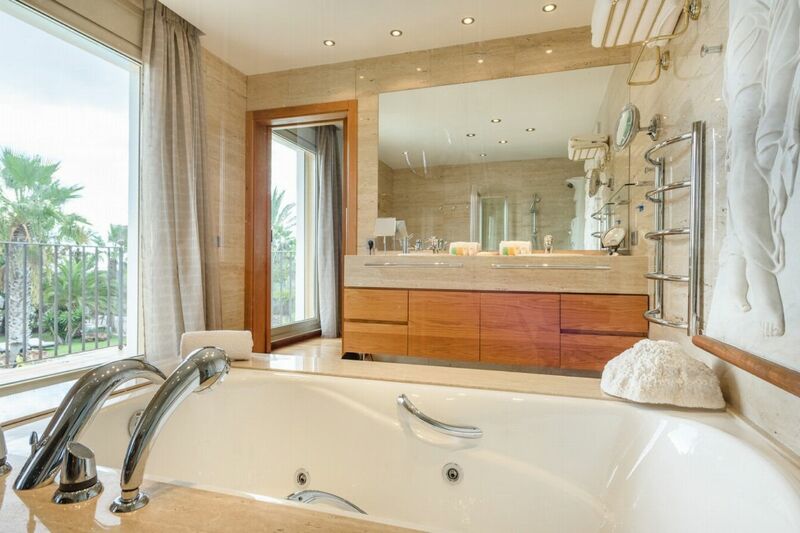 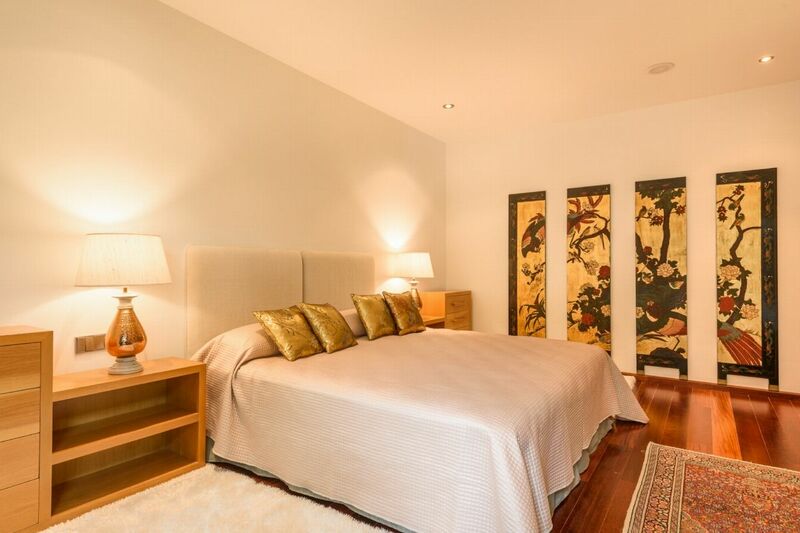 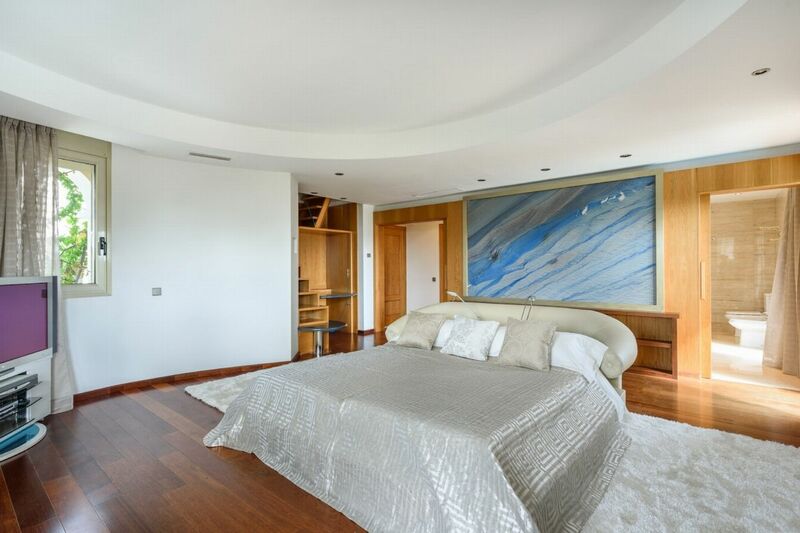 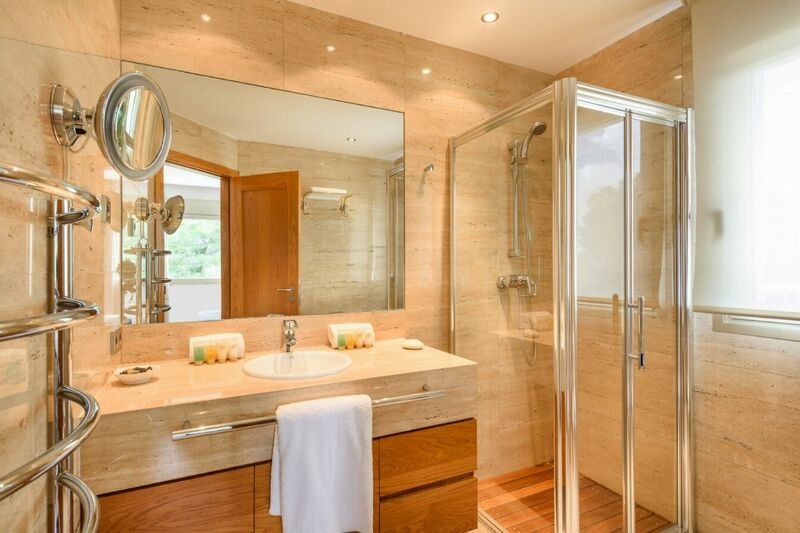 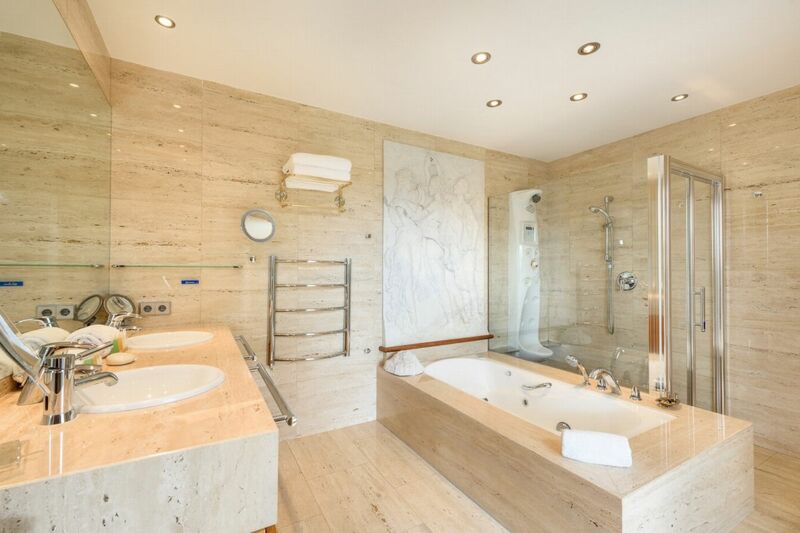 The six double bedrooms off the central landing all feature generous en-suite bathrooms. 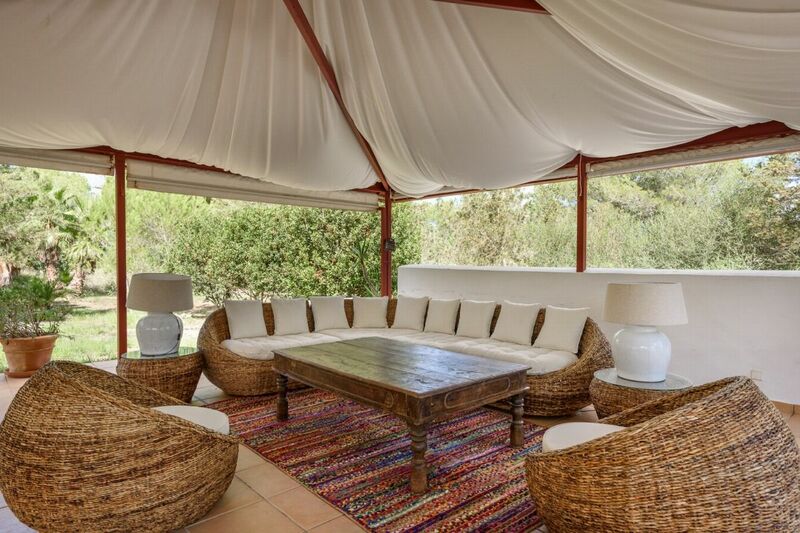 A balcony wraps around a garden aspect on this floor to offer further shaded exterior seating and a double hammock. 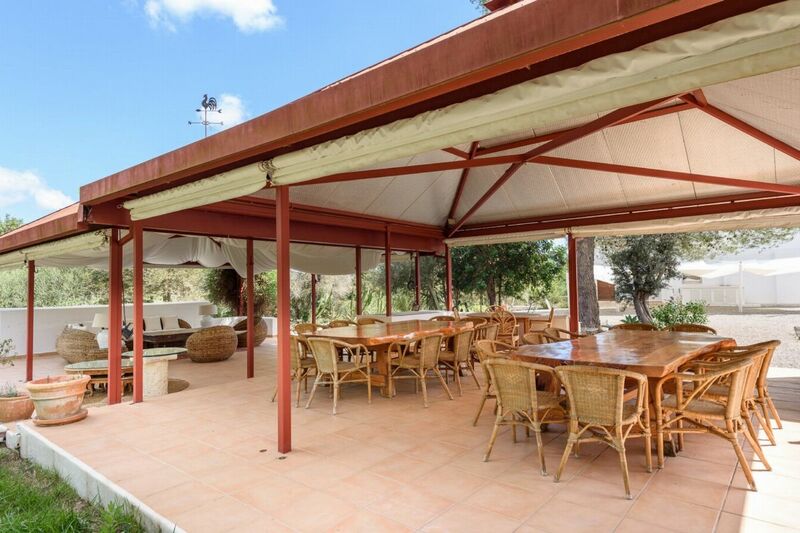 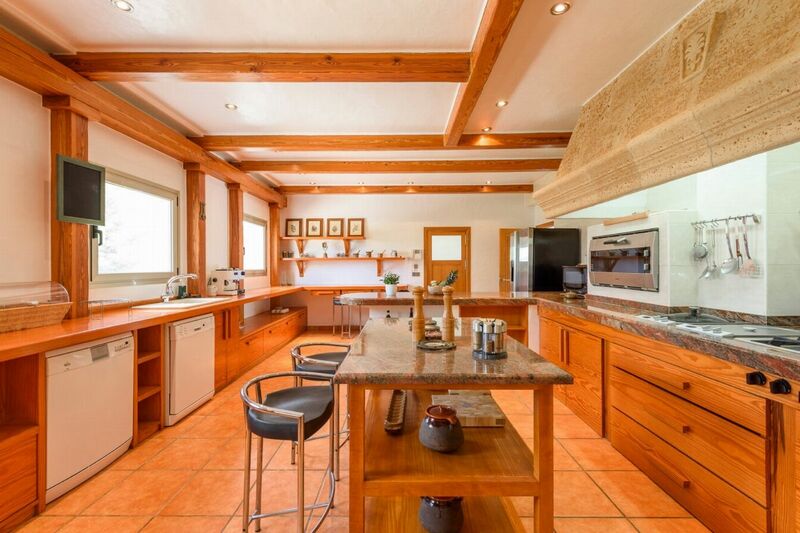 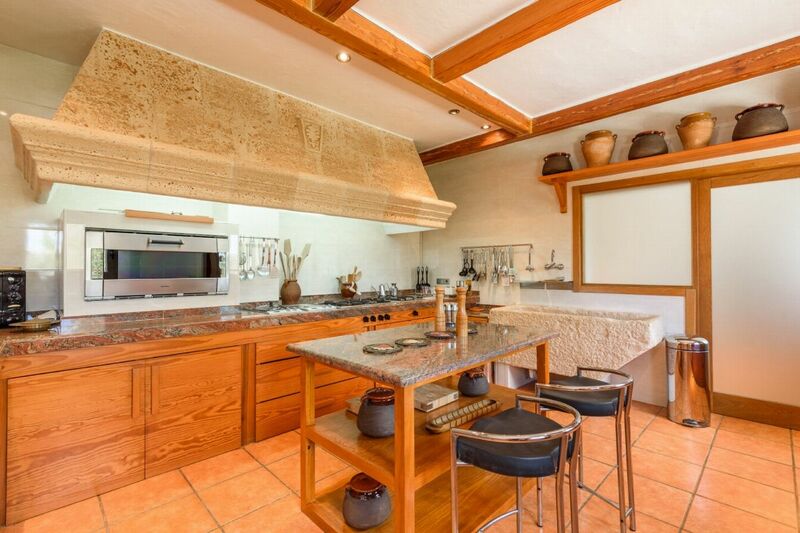 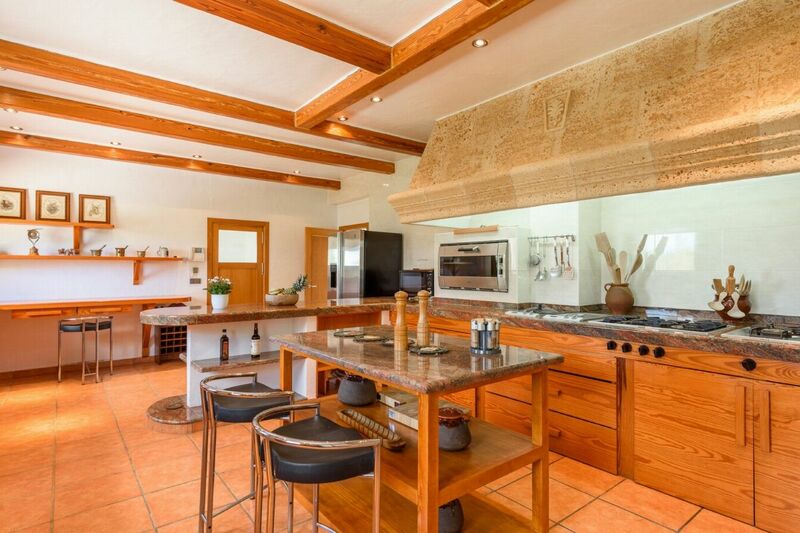 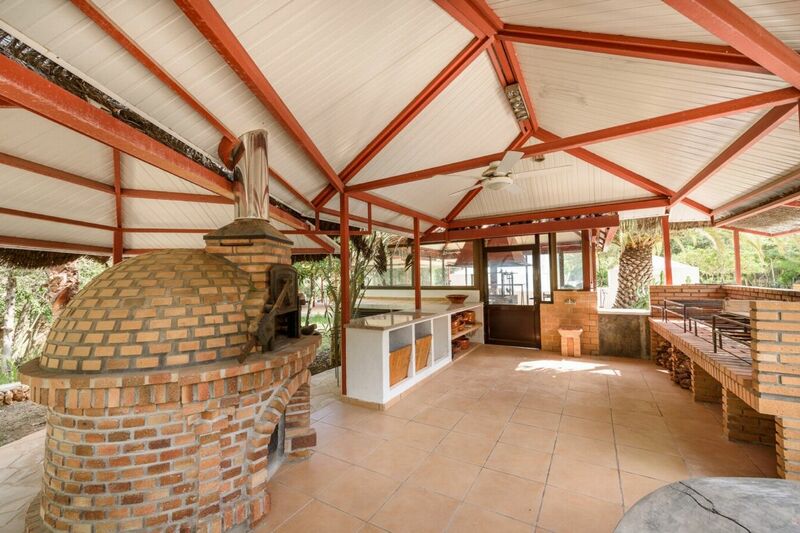 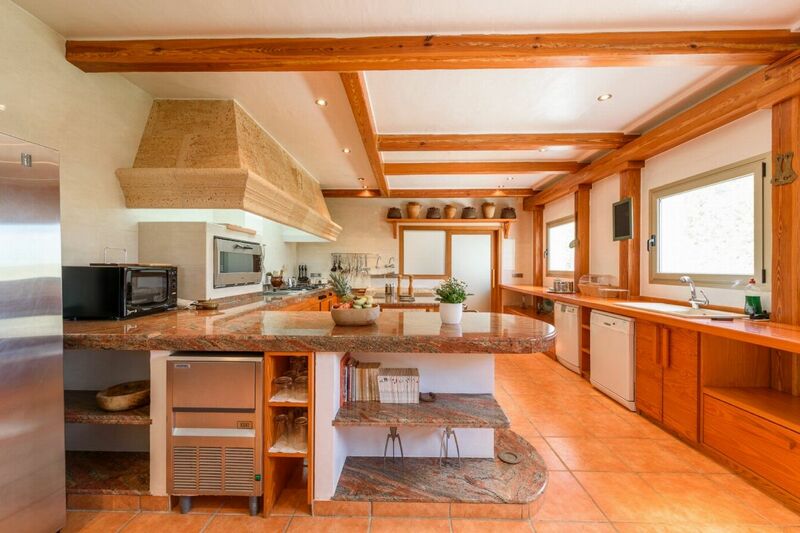 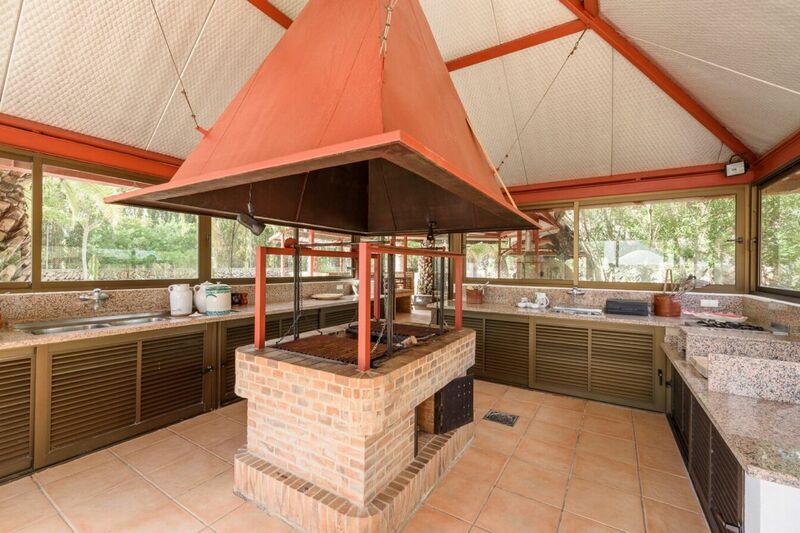 A fantastic holiday home ideal for entertaining. 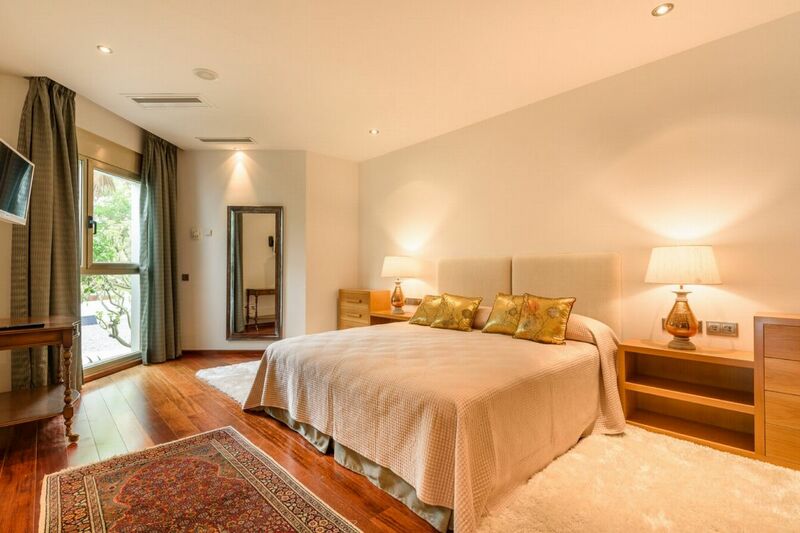 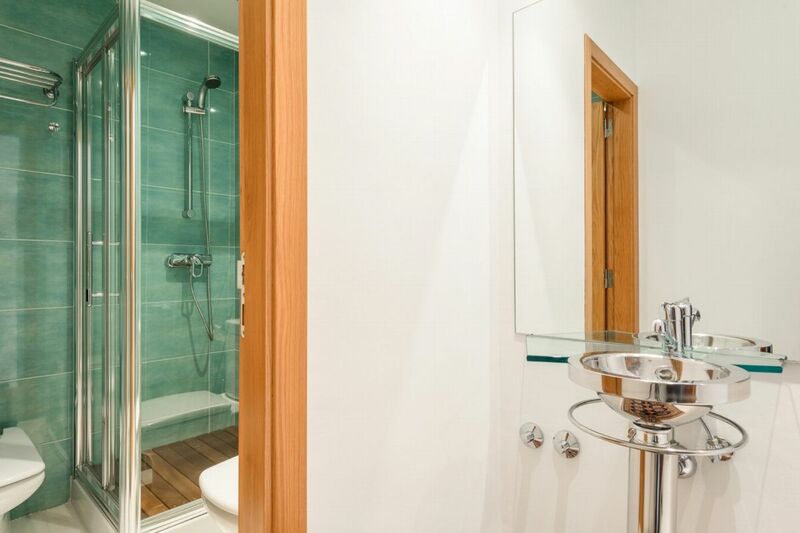 King size bed, Smart TV, walk-in wardrobes, access to small private balcony and luxurious bathroom with shower and bath. 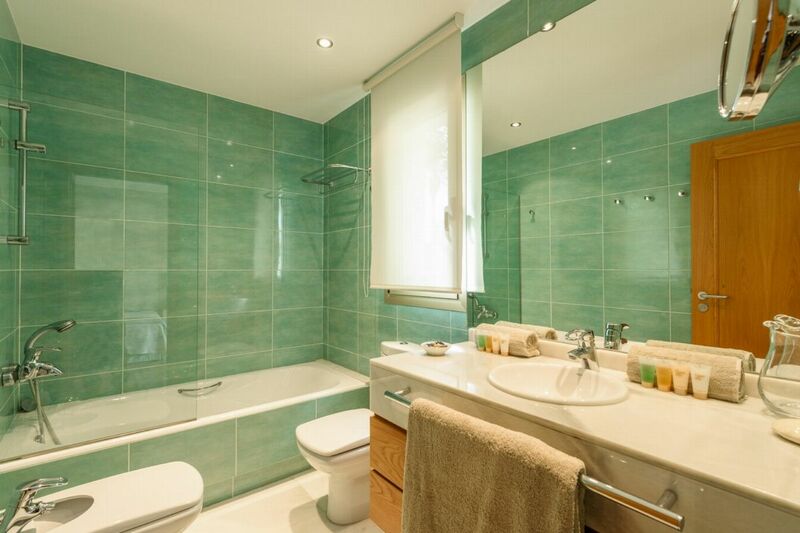 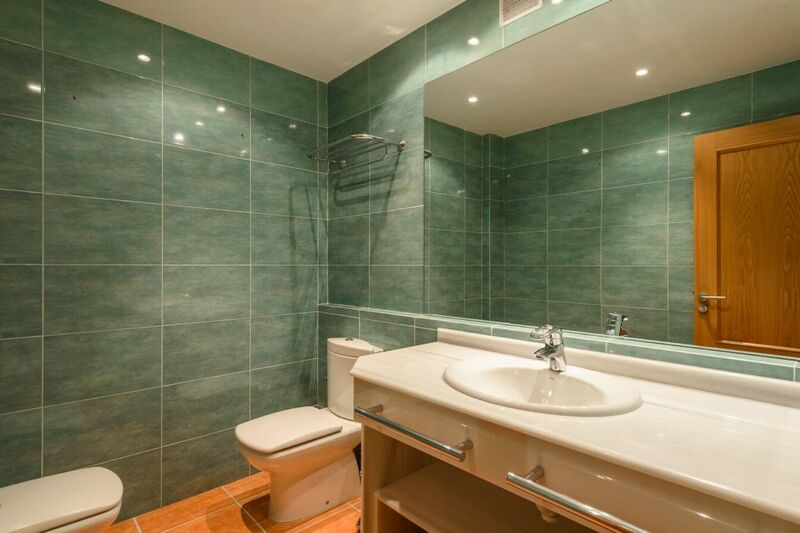 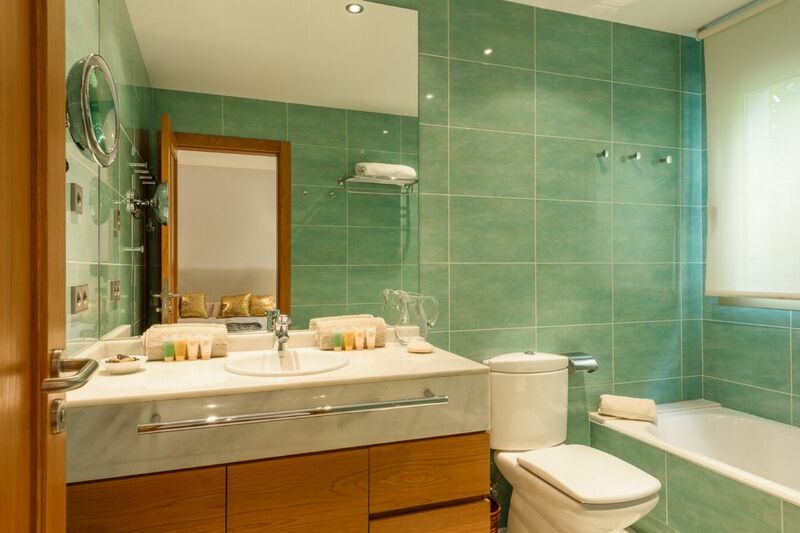 Double bedroom, TV, air conditioning, views to swimming pool, en-suite bathroom with shower. 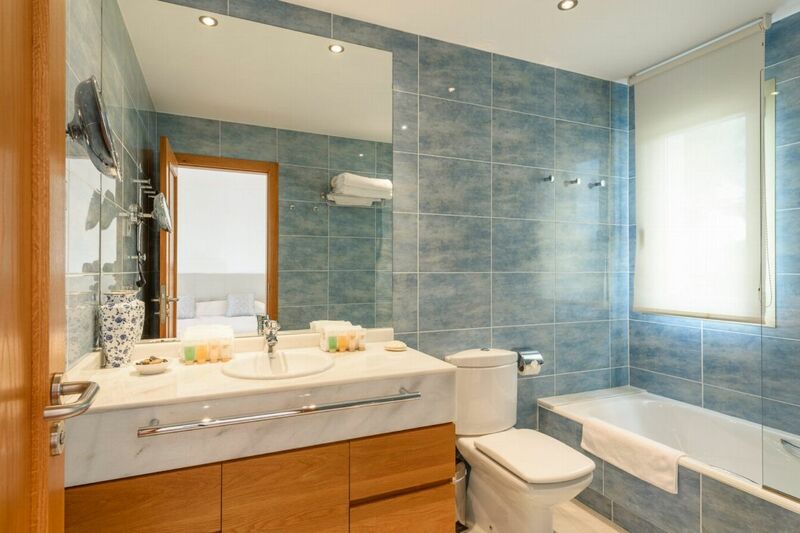 King size/twin beds, TV, air conditioning, en-suite bathroom. 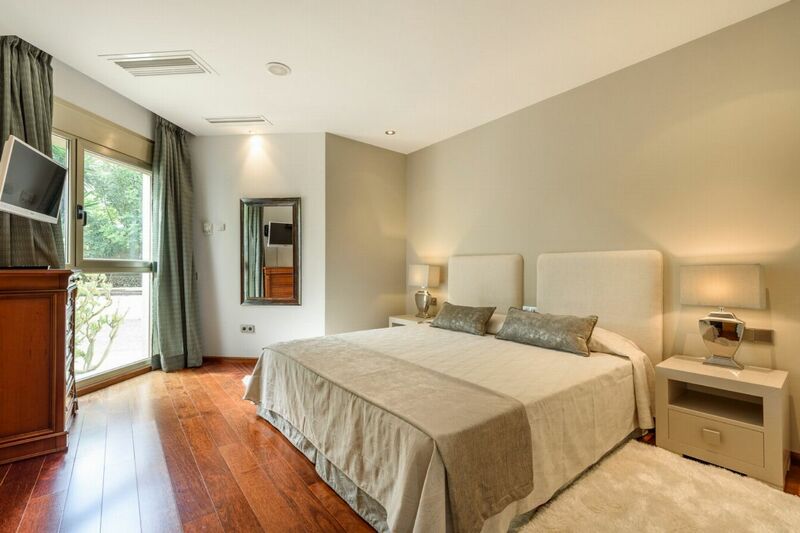 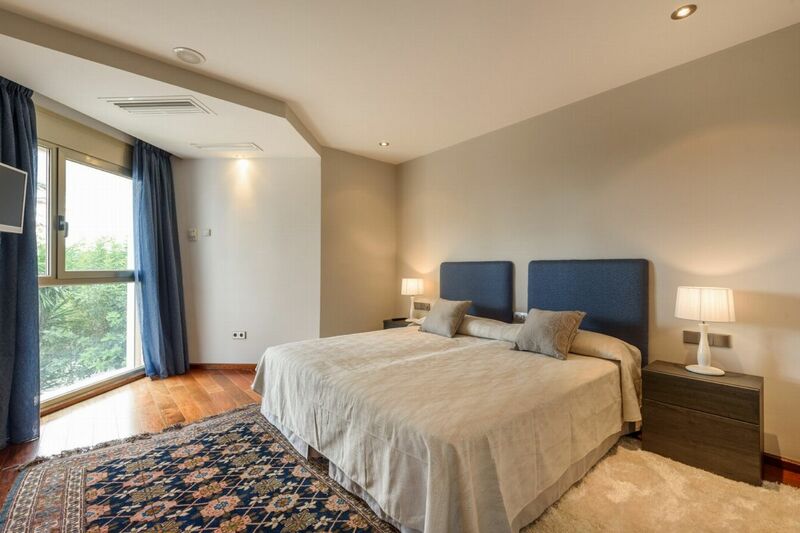 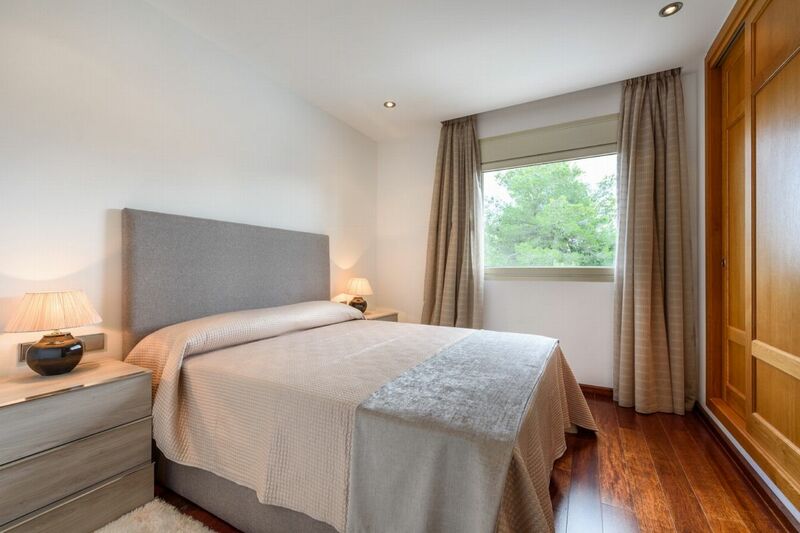 King size bed, TV, air conditioning, access to private terrace, en-suite bathroom. 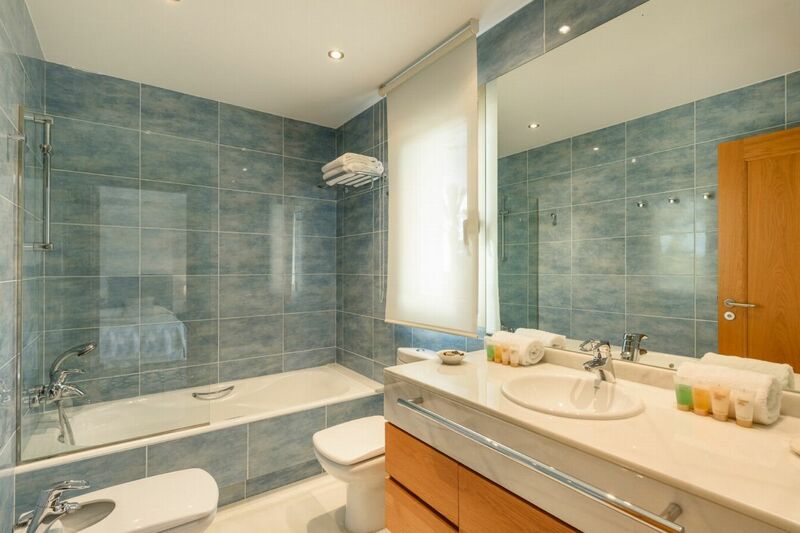 King size/twin beds, TV, air conditioning, walk-in wardrobe, en-suite bathroom.